van Tichelen, K. ; Jäger, W. ; Schaub, T. ; Koloszar, L.K. ; Ortiz, A.V. ; Planquart, P. ; Narayanan, C. ; Shams, A. ; Roelofs, F. ; Tiselji, I. ; Oder, J. ; Bartosiewicz, Yann ; Duponcheel, Matthieu ; Niceno, B. ; Guo, W. ; Stalio, E. ; Angeli, D. ; Buckingham, Sophia. A Collaborative Effort Towards the Accurate Prediction of Flow and Heat transfers in Low-Prandtl Fluids. NURETH18 (Portland (USA), du 18/08/2019 au 23/08/2019). Timmermans, Sébastien ; Fisette, Paul ; Ceulemans, Anne-Emmanuelle. A Haptic Piano Keyboard Based on a Real-Time Multibody Model of the Action. 26th international Congress on Sound and Vibration (Montreal, Canada, du 07/07/2019 au 11/07/2019). Lezaack, Matthieu Baudouin ; Zhao, Lv ; Simar, Aude. Amélioration de la ductilité de l’alliage d’aluminium 7475 par procédé de friction malaxage (FSP). Colloque MECAMAT – Rupture des Matériaux et des Structures (Aussois, du 21/01/2019 au 25/01/2019). Timmermans, Sébastien ; Fisette, Paul ; Dehez, Bruno. Application and Validation of a Linear Electromagnetic Actuator within a Haptic Piano Keyboard. The 12th International Symposium on Linear Drives for Industry Applications (Neuchâtel, Switzerland, du 01/07/2019 au 03/07/2019). Kaestner Karl ; Hoitink Ton ; Torfs Paul ; Deleersnijder, Eric ; Nining Sari Ningsih. Bed slope effects on river tides. European Geosciences Union General Assembly 2019 (Vienna, Austria, du 07/04/2019 au 12/04/2019). In: Geophysical Research Abstracts, Vol. 21, no., p. EGU2019-14229 (2019). Duponcheel, Matthieu ; Bartosiewicz, Yann. Direct Numerical Simulations of Low-Prandtl Turbulent Heat Transfer in Planar Impinging Jets. NURETH18 (Portland (USA), du 18/08/2019 au 23/08/2019). Simar, Aude ; Santos Macias, Juan Guillermo ; Poncelet, Olivier ; van der Rest, Camille ; Marteleur, Matthieu ; Elangeswaran, Chola ; Van Hooreweder, Brecht ; Maire, Eric ; Adrien, Jérôme ; Buffière, Jean-Yves. Improving fatigue resistance of selective laser melted aluminum alloy AlSi10Mg. MRS spring meeting 2019 (Phoenix, USA, du 22/04/2019 au 26/04/2019). Hanne, Nicholas J. ; Steward, Andrew J. ; Geeroms, Carla ; Kerckhofs, Greet ; Parac-Vogt, Tatjana N. ; Cole, Jacqueline H.. Ischemic Stroke Alters Blood Vessel Branching and Size Distribution in the Distal Femur. Orthopedic Research Society (ORS) 2019 Annual Meeting (Austin, Texas, USA, du 02/02/2019 au 05/02/2019). Buckingham, Sophia ; Koloszar, L. ; Villa Ortiz, Agustin ; Bartosiewicz, Yann ; Winckelmans, Grégoire. LES Investigation of Prandtl Number Effects over a Backward Facing Step and Consequences for best Prtactice in Rans. NURETH18 (Portland (USA), du 18/08/2019 au 23/08/2019). Sula, Constantin ; Grosshans, Holger ; Papalexandris, Miltiadis. Modeling droplet evaporation and secondary breakup for simulations of spray combustion. 17th International Conference on Numerical Combustion (Aachen, Germany, du 06/05/2019 au 08/05/2019). Docquier, Quentin ; Fisette, Paul. Modelling and analysis of two-wheelers equipped with crowned wheels via a constrained MBS approach. Bicycle and Motorcycle Dynamics 2019 - Symposium on the Dynamics and Control of Single Track Vehicles (Padova, Italy, du 09/09/2019 au 11/09/2019). Pardoen, Benoît. Modelling clay rock behaviour from macro to micro scales (and back): deformation, rupture, and hydromechanical phenomena.. 3SR seminar (Grenoble, France, 18/04/2019). Delannay, Francis ; Brassart, Laurence. Modélisation de l’évolution du coefficient de viscosité déviatorique au cours de la densification par couplage de diffusion et de glissement aux joints de grains. Poudre, matériaux frittés et fabrication additive (Grenoble, France, du 22/05/2019 au 24/05/2019). Hinnekens, Simon ; Fisette, Paul ; Detrembleur, Christine ; Mahaudens, Philippe. Multibody-based Quantification of Abdominal and Back Muscle Forces for Predefined Static Postures. ECCOMAS Multibody Dynamics Conference 2019 (Duisbourg, Germany, du 15/07/2019 au 18/07/2019). Cafiero Marianna ; Dias, Véronique ; Stagni, Alessandro ; Jeanmart, Hervé ; Coussement, Axel ; Parente, Alessandro. NO formation in low-pressure, premixed laminar H2/CH4/CO/O2/N2 flames in presence of benzene. First International conference on Smart Energy Carriers (Naples, Italy, du 21/01/2019 au 23/01/2019). Sula, Constantin ; Papalexandris, Miltiadis ; Grosshans, Holger. Numerical modeling of the secondary droplet break-up in spray flows. European Combustion Meeting 2019 (Lisbon, Portugal, du 14/04/2019 au 17/04/2019). Frangi, Giulia ; Kerckhofs, Greet ; Boulestreau, Jérémy ; Autrusseau, Florent ; Veziers, Joëlle ; Guicheux, Jérôme ; Penel, Guillaume ; Chaveau, Christophe ; Prieur, Xavier ; Beck, Laurent ; Beck-Cormier, Sarah. PIT2 deficiency results in skeletal phenotype associated with alteration of bone marrow adipose tissue. Meeting of the European Calcified Tissue Society (ECTS) 2019 (Budapest, Hungary, du 11/05/2019 au 14/05/2019). Timmermans, Sébastien ; Fisette, Paul ; Dehez, Bruno ; Ceulemans, Anne-Emmanuelle. Real-Time Validation of a Haptic Piano Key based on a Multibody Model. ECCOMAS Thematic Conference on Multibody Dynamics (Duisburg, Germany, du 15/07/2019 au 18/07/2019). Bartosiewicz, Yann. Reconciling FCD and thermodynamics to understand transfer in supersonic ejectors. 27th Canadian Congress of Applied Mechanics (CANCAM2019) (Sherbrooke (Canada), du 27/05/2019 au 30/05/2019). Collin, Frédéric ; Charlier, Robert ; Pardoen, Benoît. Rôle de la zone endommagée sur la convergence des galeries de stockage, modélisation numérique d'expériences dans le laboratoire souterrain de Bure. Journée d’étude SBGIMR "Le stockage géologique de déchets nucléaires" (ULg, Liège, Belgique, 21/02/2019). Fisette, Paul ; Moreau, Emile. Simulation of the Aerodynamic Effects on an Actuated Pendulum with the Actuator Volume Method. Eccomas (Duisburg, Allemagne, du 15/07/2019 au 18/07/2019). Fisette, Paul ; Bokiau, Baudouin ; Timmermans, Sébastien. The Grand Piano Action Functioning Demystified thanks to the Multibody Approach. The 15th IFToMM World Congress (Krakow, Poland, du 30/06/2019 au 04/07/2019). Verhetsel, Kilian ; Pellerin, Jeanne ; Remacle, Jean-François. A 44-element mesh of Schneiders' pyramid: Bounding the difficulty of hex-meshing problems. 27th International Meshing Roundtable (Albuquerque, du 01/10/2018 au 04/10/2018). Hay, William Andrew ; Papalexandris, Miltiadis. A Numerical Study of Turbulent Thermal Convection in a Cavity with Evaporation at the Free Surface. 71st Annual Meeting of the APS Division of Fluid Dynamics (Atlanta, GA, du 18/11/2018 au 20/11/2018). Kerckhofs, Greet. A combinatory approach of advanced 3D imaging, mechanical testing and computational modelling to improve insight into the decreased biomechanical performance of type 2 diabetes mouse bones: an overview. EUROMECH Colloquim 2018: Bone Remodeling: Mulstiscale Mechanical Models and Multiphysical Aspects (Nancy, France, du 15/05/2018 au 19/05/2018). Le, Hoang Anh ; Vu Xuan Huyen Dang ; Lambrechts, Jonathan ; Sigrun Ortleb ; Vallaeys, Valentin ; Vincent, David ; Nicolas Gratiot ; Soares Frazao, Sandra ; Deleersnijder, Eric. A new wetting – drying algorithm integrated in SLIM, with an application to the Tonle Sap lake, Mekong. European Geosciences Union General Assembly 2018 (Vienna, du 08/04/2018 au 13/04/2018). Vallaeys, Valentin ; Lambrechts, Jonathan ; Hanert, Emmanuel ; Deleersnijder, Eric. A numerical study of the estuarine plume in the Congo River. 17th International workshop on Multi-scale (Un)-structured mesh numerical Modeling for coastal, shelf and global ocean dynamics (Hamburg, Germany, du 11/09/2018 au 14/09/2018). Hardy, Baptiste ; Winckelmans, Grégoire ; De Wilde, Juray. A penalization method for the Direct Numerical Simulation of low-Mach reacting gas-solid flows . International Workshops and Conferences on Mathematics in (bio)Chemical Kinetics and Engineering (Ghent, Belgium ). Delannay, Francis ; Brassart, Laurence. A propos de la rhéologie de la superplasticité, du fluage diffusionnel, et de la viscosité de cisaillement en frittage. MATERIAUX 2018 (Strasbourg, France, du 19/11/2018 au 23/11/2018). In: MATERIAUX2018-E-Book - Livre des abstracts, 2018, p. # MATERIAUX2018-1102. Idrissi, Hosni ; Ghidelli, M. ; Gravier, S. ; Blandin, J.J. ; Coulombier, Michaël ; Raskin, Jean-Pierre ; Schryvers, Dominique ; Pardoen, Thomas. Atomistic plasticity mechanisms in metallic glass thin films : new insights from advanced transmission electron microscopy. 2018 DPG Spring meeting (Berlin, Germnay, du 12/03/2018 au 16/03/2018) (Accepté/Sous presse). Miotti Bettanini, Alvise. Austenization stasis in Fe-12Cr-0.1C martensitic stainless steel. CALPHAD XLVII Conference (Queretaro, Mexico, du 27/05/2018 au 01/06/2018). Van Beneden, Maxence ; Kluyskens, Virginie ; Dehez, Bruno. Axial force evaluation in permanent magnet thrust bearings subject to demagnetization and temperature effects. International Symposium on Magnetic Bearings (ISMB16) (Beijing International Convention Center (www.bicc.com.cn) in Beijing, China, du 13/08/2018 au 17/08/2018). Vlémincq, Céline ; Pardoen, Thomas ; Nysten, Bernard ; Gandin, Ezio. Characterization and modeling of the ageing of polymers in contact to fluids using nanomechanical probes. Nanobrücken 2018, A Nanomechanical Testing Conference and Bruker Hysitron User Meeting (Erlangen, Germany, du 20/02/2018 au 22/02/2018). Vlémincq, Céline ; Pardoen, Thomas ; Nysten, Bernard ; Gandin, Ezio. Characterization and modeling of the ageing of polymers in contact to fluids using nanomechanical probes . SEM2018 - International Congress & Exposition on Experimental and Applied Mechanics (Greenville, SC, USA, du 04/06/2018 au 07/06/2018). Van Verdeghem, Joachim ; Kluyskens, Virginie ; Dehez, Bruno. Comparison Criteria and Stability Analysis of Electrodynamic Thrust Bearings. 16th International Symposium on Magnetic Bearings (ISMB) (Beijing, China, du 13/08/2018 au 17/08/2018). Amani, Yasin ; Dancette, Sylvain ; Maire, Eric ; Delroisse, Pauline ; Simar, Aude. Compression behaviour of cellular structures produced by selective laser beam additive manufacturing: X-ray tomography based finite element and experimental approaches. EMMC16 - 16th European Mechanics of Materials Conference (Nantes, France, du 26/03/2018 au 28/03/2018). Pardoen, Benoît ; Bésuelle, Pierre ; Desrues, Jacques ; Dal Pont, Stefano ; Cosenza, Philippe. Considering the heterogeneity of argillaceous rock microstructure in a hydromechanical coupled double scale model. Microstructure de sols et des roches argileux – conséquences pour l'ingénieur (Journée Scientifique & Technique CFMS-CFMR) (CNAM, Paris, France, 25/10/2018). de Bournonville, Sébastien ; Geris, Liesbeth ; Kerckhofs, Greet. Contrast-enhanced microCT and dedicated image processing for the morphological characterization of micro-carriers for large scale stem cell expansion. 15th International Symposium on Computer Methods in Biomechanics and Biomedical Engineering (Lisbon, Portugal, du 26/03/2018 au 29/03/2018). de Bournonville, Sébastien ; Ly Thi, Hong Giang ; Geeroms, Carla ; Parac-Vogt, Tatjana ; Kerckhofs, Greet. Contrast-enhanced microCT of soft tissues using polyoxometalates at physiological pH. Belgian Symposium on Tissue Engineering 2018 (Ghent, Belgium, du 21/11/2018 au 23/11/2018). Lantsoght, Olivier ; Fisette, Paul ; Dubois, Frédéric ; Brüls, Olivier ; Docquier, Nicolas. Coupling Multibody and Granular Dynamics: Experimental Validation. The Fifth Joint International Conference on Multibody System Dynamics - IMSD 2018 (Lisboa, Portugal, du 24/06/2018 au 28/06/2018). Lantsoght, Olivier ; Fisette, Paul ; Dubois, F ; Brüls, O ; Docquier, Nicolas. Coupling Multibody and Granular Dynamics: Experimental Validation. 5th Joint International Conference on Multibody System Dynamics (Lisbon, Portugal, du 24/06/2018 au 28/06/2018). In: Proceedings of the 5th International Conference on Multibody System Dynamics, 2018.
de Bournonville, Sébastien ; Lambrechts, Toon ; Papantoniou, Ioannis ; Vanhulst, Johan ; Kerckhofs, Greet ; Geris, Liesbet. Coupling X-ray contrast-enhanced – CT to perfusion bioreactors for on-line tissue engineering construct visualisation. Tissue Engineering and Regenerative Medicine International Society world congress 2018 (Kyoto, Japan, du 04/09/2018 au 07/09/2018). Proost, Joris ; Chehade, Z. ; Hilliard, S. ; Lucchese, P. ; Mansilla, C.. Critical assessment of running P2H demo-projects within the framework of the IEA/HIA. 1st International Power2Gas Conference (Copenhagen,Denmark, du 17/10/2018 au 18/10/2018). Jacques, Pascal ; van der Rest, Camille ; Marteleur, Matthieu ; Delroisse, Pauline ; Simar, Aude. Critical assessment of the hydrogen uptake during the powder-bed laser 3D-printing of Al-Si grade. 3rd Workshop on Metal Additive Manufacturing (Liège, du 28/05/2018 au 29/05/2018). Jacques, Pascal ; Delroisse, Pauline ; Simar, Aude ; Georges, Cédric. Critical assessment of the hydrogen uptake during the powder-bed laser 3D-printing of Al-Si grade. THERMEC'2018, International Conference on Processing & Manufacturing of Advanced Materials (Paris, France, du 08/07/2018 au 13/07/2018). Raison, Maxime ; Verlé, Aubain ; Abedrabbo Ode, Gabriel ; Detrembleur, Ch ; Mahaudens, Philippe ; Fisette, Paul. Customized MBD models to contribute to answering clinical questions about the spine in motion. 5th Joint International Conference on Multibody System Dynamics (Lisbon, Portugal, du 24/06/2018 au 28/06/2018). In: Proceedings of the 5th Joint International Conference on Multibody System Dynamics, 2018. Fent, Ilaria ; Soares Frazao, Sandra ; Franca, Mario J.. Dam break over mobile bed: Characterisation ofthe flow by means of pressure distribution and bed shear stress. River Flow 2018 (Lyon-Villeubane, France, du 05/09/2018 au 07/09/2018). In: River Flow 2018 – Ninth International Conference on Fluvial Hydraulics (River Flow 2018 – Ninth International Conference on Fluvial Hydraulics; 40), EDP Sciences, 2018. 978-2-7598-9051-4, p. 8 pages. doi:10.1051/e3sconf/20184005057. Ismail, Karim ; Brassart, Laurence ; Perlade, Astrid ; Jacques, Pascal ; Pardoen, Thomas. Damage mechanisms and fracture toughness of dual-phase steels exhibiting a platelet-like microstructure. EMMC 16 (Nantes, France, du 26/03/2018 au 28/03/2018). Kluyskens, Virginie ; Dumont de Chassart, Corentin ; Dehez, Bruno. Design and experimental testing of a heteropolar electrodynamic bearing. 2th IEEE Conference on Advances In Magnetics (La Thuile, Italy, du 04/02/2018 au 07/02/2018). Roy, Geoffrey ; Marchal-Marchant, Valentin ; Poncelet, Olivier ; van der Rest, Camille ; Jacques, Pascal. Design of Thermal Contacts for High Performances Heusler-Based Thermoelectric Modules. International Conference on Thermoelectrics (ICT18) (Caen, France, du 02/07/2018 au 05/07/2018). Vallaeys, Valentin ; Lambrechts, Jonathan ; Hanert, Emmanuel ; Deleersnijder, Eric. Discontinuous Galerkin modelling of the Congo River's coupled estuary-shelf dynamics. European Geosciences Union General Assembly 2018 (Vienna, Austria , du 08/04/2018 au 13/04/2018). Idrissi, Hosni ; Samaeeaghmiyoni, V. ; Bollinger, C. ; Boioli, F. ; Gatti, R. ; Devincre, B. ; Cordier, P. ; Pardoen, Thomas ; Schryvers, Dominique. Dislocation based plasticity: new insights from quantitative in-situ TEM tensile testing. Schöntal Symposium on ‘Dislocation based Plasticity’ (Schöntal, Germany, du 26/02/2018 au 01/03/2018). Chaltiel, Stephanie ; Bravo, Maite ; Goessens, Sébastien ; Latteur, Pierre ; Mansouri, Masoumeh ; Ahmad, Ismail. Dry and Liquid clay mix drone spraying for Bioshotcrete. IASS Symposium 2018 Creativity in Structural Design (BOSTON, USA, du 16/07/2018 au 20/07/2018). In: Proceedings of the IASS Symposium 2018 Creativity in Structural Design, International Association for Shell and Spatial Structures (I A S S ): Caitlin Mueller, Sigrid Adriaenssens (eds. ), 2018. Miotti Bettanini, Alvise ; Laville, Colin ; Mithieux, Jean-Denis ; Parrens, Coralie ; Jacques, Pascal ; Pardoen, Thomas ; Delannay, Laurent. Ductile to brittle failure transition under bending deformation of martensitic stainless steels. ESMC 2018, 10th European Solid Mechnics Conference (Bologna, Italy, du 02/07/2018 au 06/07/2018). Saraiva Esteves Pacheco De Almeida, João ; Jordan, Manuel ; Beyer, Katrin. Effect of damping models on the simulation of seismic axial forces in a reinforced concrete bridge pier. 16th European Conference on Earthquake Engineering (Thessaloniki, Greece, du 18/06/2018 au 21/06/2018). van der Rest, Camille ; Marteleur, Matthieu ; Simar, Aude ; Jacques, Pascal. Effect of process parameters and post-treatments on the mechanical static and fatigue properties of AlSi10Mg SLM samples. 3rd Workshop on Metal Additive Manufacturing (Liège). Poncelet, Olivier ; Van Der Rest, Camille ; Marteleur, Matthieu ; Simar, Aude. Effect of scan strategy and laser parameters on roughness of SLM AlSi10Mg thin-walls. 3rd Workshop on Metal Additive Manufacturing (Lièges, du 28/05/2018 au 29/05/2018). Delvaux, Adeline ; Lumbeeck, Gunnzt ; Idrissi, Hosni ; Proost, Joris. Electrochemical hydrogenation of nickel thin film electrodes. 4th International Symposium on the Catalysis for Clean Energy and Sustainable Chemistry (CCESC 2018) (Bilbao, Spain, du 09/07/2018 au 11/07/2018). In: Proceedings of the 4th International Symposium on Catalysis for Clean Energy and Sustainable Chemistry (CCESC), 2018, p. 8. Adeline Delvaux, Gunnar Lumbeeck, Dominique Schryvers, Hosni Idrissi, Joris Proost. Electrochemical hydrogenation of nickel thin film electrodes. 4th International Symposium on Catalysis for Clean Energy and Sustainable Chemistry (CCESC) (Bilbao (Spain), du 09/07/2018 au 11/07/2018). In: Proceedings of the 4th International Symposium on Catalysis for Clean Energy and Sustainable Chemistry (CCESC), , p. 8. Zhao, Lv ; Ding, Lipeng ; Idrissi, Hosni ; Simar, Aude. Enhancement of fracture resistance by crack deviation via shape memory alloy agents. IUTAM Symposium on Size-effect in Microstructure and Damage Evolution (copenhagen, Danmark, du 28/05/2018 au 01/06/2018). Van Verdeghem, Joachim ; Kluyskens, Virginie ; Dehez, Bruno. Experimental Validation and Characterisation of a Passively Levitated Electrodynamic Thrust Self-Bearing Motor. 21st International Conference on Electrical Machines and Systems (ICEMS) (Jeju, Korea, du 07/10/2018 au 10/10/2018). doi:10.23919/ICEMS.2018.8549373. Docquier, Nicolas. Experimental and numerical analysis of railway track components impacting its settlement. RAILWAY 2018: Fourth International Conference on Railway Technology (Sitges, Barcelona, Spain, du 03/09/2018 au 07/09/2018). Pochet, Maxime ; Dias, Véronique ; Bruno Moreau ; Fabrice Foucher ; Jeanmart, Hervé ; Contino, Francesco. Experimental and numerical study, under LTC conditions, of ammonia ignition delay with and without hydrogen addition. 37th International Symposium on Combustion (Dublin, du 29/07/2018 au 03/08/2018). In: Combustion Institute. Proceedings. Tarquini, Danilo ; Saraiva Esteves Pacheco De Almeida, João ; Beyer, Katrin. Experimental investigation on the behaviour of lap splices under uniaxial cyclic loading. 16th European Conference on Earthquake Engineering (Thessaloniki, Greece). Kluyskens, Virginie ; Van Verdeghem, Joachim ; Corentin Dumont de Chassart ; Dehez, Bruno. Experimental investigations on a heteropolar electrodynamic bearing - self-bearing motor. 16th International Symposium on Magnetic Bearings (Beijing, China, du 13/08/2018 au 17/08/2018). Minette, Florent ; De Wilde, Juray ; Marco Castaldi ; Michael Lugo. Experimental study of the intrinsic kinetics of steam methane reforming on a thin and adherent Ni coating. Mathematics in (bio)Chemical Kinetics and Engineering (Gent, du 08/11/2018 au 09/11/2018). Guinot, Vincent ; Soares Frazao, Sandra ; Delenne, Carole. Experimental validation of transient source term in porosity-based shallow water models. River Flow 2018 (Lyon-Villeubane, France, du 05/09/2018 au 07/09/2018). In: River Flow 2018 – Ninth International Conference on Fluvial Hydraulics (River Flow 2018 – Ninth International Conference on Fluvial Hydraulics; 40), EDP Sciences, 2018. 978-2-7598-9051-4, p. 8 pages. doi:10.1051/e3sconf/20184006033. Saadouki, Bouchra ; Sapanathan, Thaneshan ; Pelca, Philippe H ; Elghorba, Mohamed ; Rachik, Mohamed. Failure analysis and damage modeling of precipitate strengthened Cu–Ni–Si alloy under fatigue loading. IGF Workshop “Fracture and Structural Integrity” (Cassino, Italy). In: Procedia Structural Integrity, Vol. 9, no.1, p. 186-198 (2018). doi:10.1016/j.prostr.2018.06.029. Fang, Yu ; De Lorenzo, Marco ; Lafon, Philippe ; Poncet, Sébastien ; Bartosiewicz, Yann ; Nesreddine, Hakim. Fast and accurate CO2 properties calculation algorithm for massive numerical simulations of supersonic two-phase ejectors. 17th International Refrigeration and Air Conditioning COnference (Purdue (USA), du 09/07/2018 au 12/07/2018). Zhao, Lv ; Simar, Aude ; Turteltaub, Sergio. Fracture investigation in Al/NiTip composite manufactured by friction stir processing. EMMC16 - 16th European Mechanics of Materials Conference (Nantes, France, du 26/03/2018 au 28/03/2018). Pardoen, Thomas ; Jaddi, Sahar ; Coulombier, Michaël ; Idrissi, Hosni ; Raskin, Jean-Pierre. Fracture mechanics on a chip. European Materials Research Society (EMRS 2018) (Strasbourg, France, du 18/06/2018 au 22/06/2018). Yang, Kang ; Sapanathan, Thaneshan ; Raoelison, Rija Nirina ; Buiron, Nicolas ; Rachik, Mohamed. Fully coupled semi-analytical model for an electromagnetic-mechanical-thermal problem of a ring expansion test. 8th International Conference on High Speed Forming (Columbus, USA, du 13/05/2018 au 16/05/2018). Lumbeeck, Gunnar ; Idrissi, Hosni ; Samaeeaghmiyoni, Vahid ; Béché, Armand ; Haque, Aman ; Raskin, Jean-Pierre ; Pardoen, Thomas ; Schryvers, Dominique. Grain size dependent deformation mechanisms in nanocrystalline thin films: insights from new dedicated sample preparation method. European Materials Research Society (EMRS 2018) (Strasbourg, France, du 18/06/2018 au 22/06/2018). Timmermans, Sébastien ; Fisette, Paul ; Ceulemans, Anne-Emmanuelle ; Dehez, Bruno. Haptic Piano Key based on a Real-Time Multibody Model of the Double Escapement Grand Piano Action. The 5th Joint International Conference on Multibody System Dynamics (Lisboa, Portugal, du 24/06/2018 au 28/06/2018). Ismail, Karim ; Brassart, Laurence ; Perlade, Astrid ; Jacques, Pascal J. ; Pardoen, Thomas. Heterogeneous microstructure informed computational unit cell modelling of the plastic behaviour of dual-phase steels. ESMC 2018 (Bologna, du 02/07/2018 au 06/07/2018). Hilhorst, Antoine. High-Troughtput characterization method of non-equiatomic high entropy alloys. Indentation 2018 (Liège, Belgique, du 11/09/2018 au 14/09/2018). Mouchet, Anne ; Mikolajewicz, Uwe ; Deleersnijder, Eric. How well does radiocarbon record deep-ocean ventilation changes? A coupled climate model study of the last termination. EGU General Assembly 2018 (Vienna, du 08/04/2018 au 13/04/2018). Cordier, Patrick ; van der Werf, Thomas ; Lumbeeck, Gunnar ; Samaee, Vahid ; Pardoen, Thomas ; Schryvers, Dominique ; Idrissi, Hosni. In situ TEM nanomechanical testing of antigorite suggest weak interfaces. Fall Meeting 2018, AGU - Session MR43A : Tensile and Shear Dynamic Rupturing Across Multiple Scales: Precursory Deformation (Washington, D.C., USA, du 10/12/2018 au 14/12/2018). In: Proceedings of the AGU Fall Meeting 2018, 2018, p. MR43A-05. Delannay, Francis ; Brassart, Laurence. Influence de la diffusion à la surface des pores sur la viscosité de l’agrégat au cours des procédés de frittage rapide. MATERIAUX 2018 (Strasbourg, France, du 19/11/2018 au 23/11/2018). In: MATERIAUX2018-E-Book - Livre des abstracts, 2018, p. # MATERIAUX2018-1100. Croonenborghs, Maïté ; Ismail, Karim ; Mousny, Maryline ; Pardoen, Thomas. Influence of angle on failure of growth rods in H3S2 construct. 16th Edition of the European Mechanics of Material Conference (Nantes (France), du 26/03/2018 au 28/03/2018). Grosshans, Holger. Influence of electrostatic charges and solid-mass loading on particle dynamics in duct . 71st Annual Meeting of the APS Division of Fluid Dynamics (Atlanta, Georgia, USA, du 18/11/2018 au 20/11/2018). Grosshans, Holger ; Papalexandris, Miltiadis. Influence of electrostatic charges and solid-mass loading on particle dynamics in duct flows. 71st Annual Meeting of the APS Division of Fluid Dynamics (Atlanta, GA, du 18/11/2018 au 20/11/2018). Grosshans, Holger ; Villafãne, Laure ; Banko, A. ; Papalexandris, Miltiadis. Influence of electrostatic charges on the particle concentration in wall-bounded turbulent flows. 8th World Congress on Particle Technology (Orlando, Florida, du 22/04/2018 au 26/04/2018). In: Proceedings, 8th World Congress on Particle Technology, Orlando, FL, 2018. 978-0-8169-1105-9. Hou, Yuliang ; Tie, Ying ; Li, Cheng ; Sapanathan, Thaneshan ; Rachik, Mohamed. Influence of external patch shape and location on the low-velocity impact behavior of repaired CFRP laminates. 26th Annual International Conference on Composites/Nano Engineering, July 2018, ICCE-26 (Paris, France). Wanlongo Ndiwulu, Guy ; De Jaeger, Emmanuel ; Kuti Lusala, Angelo. Inner control loops approach to control the islanded photovoltaic microgrid. IEEE Africon 2017 (Cape Town, South Africa, du 18/09/2017 au 20/09/2017). In: IEEE Proceedings, Vol. 07 November 2017, no. 17337931, p. 1204-1209 (2017). doi:10.1109/AFRCON.2017.8095646. Marianna Cafiero ; Dias, Véronique ; Jeanmart, Hervé ; Axel Coussement ; Alessandro Parente. Investigation of NO Formation in Premixed Flat H2/CH4/CO/O2/N2 and H2/CH4/CO/O2/N2/C6H6 Fames at Low Pressure. 37th International Symposium on Combustion (Dublin, Ireland, du 29/07/2018 au 03/08/2018). Pochet, Maxime ; Dias, Véronique ; Bruno Moreau ; Fabrice Foucher ; Jeanmart, Hervé ; Contino, Francesco. Investigation of ammonia ignition delay at low temperatures and lean conditions. 25th Journées d'Etude (Mons, du 15/05/2018 au 16/05/2018). Soares Frazao, Sandra ; Franzini, Fabian ; Linkens, Jérémy ; Snaps, Jean-Charles. Investigation of distributed-porosity fields for urban flood modelling using single-porosity models. River Flow 2018 (Lyon-Villeubane, France, du 05/09/2018 au 07/09/2018). In: River Flow 2018 – Ninth International Conference on Fluvial Hydraulics (River Flow 2018 – Ninth International Conference on Fluvial Hydraulics; 40), EDP Sciences, 2018. 978-2-7598-9051-4, p. 7 pages. doi:10.1051/e3sconf/20184006040. Croonenborghs, Maïté ; Jacques, Pascal. Iron-based biodegradable stents : Introduction of roughness in dual-phase steels.. 10th Symposium on Biodegradable Metals (Oxford, du 26/08/2018 au 31/08/2018). Hanne, Nicholas J. ; Steward, Andrew J. ; Kerckhofs, Greet ; Pinnamaraju, Sriharsha V. ; Parac-Vogt, Tatjana ; Cole, Jacqueline H.. Ischemic stroke inhibits exercise-induced bone gains in the distal femur. Orthopedic Research Society (ORS) 2018 Annual Meeting (New Orleans, Louisiana, USA, 10-13 March 2018) (Soumis). Wanlongo Ndiwulu, Guy ; De Jaeger, Emmanuel ; Kuti Lusala, Angelo. Local stability performance analysis of islanded microgrid based on inner control loops approach. CIRED Workshop 2018 (Ljubljana, Slovenie, du 06/06/2018 au 08/06/2018). In: CIRED Proceedings, Vol. 2018, p. 0501-4 (2018). Martin, Benoît ; Glineur, François ; De Rua, Philippe ; De Jaeger, Emmanuel. Loss reduction in a windfarm participating in primary voltage control using an extension of the Convex DistFlow OPF. 20th Power Systems Computation Conference (PSCC) (Dublin, du 11/06/2018 au 15/06/2018). In: Proceedings of the 20th Power Systems Computation Conference, IEEE, 2018. 978-1-910963-10-4. doi:10.23919/PSCC.2018.8442758. Marchal-Marchant, Valentin ; Roy, Geoffrey ; Ryelandt, Laurence ; Poncelet, Olivier ; van der Rest, Camille ; Jacques, Pascal. Manufacture of TE-modules: joining Fe2VAl and Cu through several bonding processes.. International and European Conference on Thermoelectrics (Caen, France, du 02/07/2018 au 05/07/2018). Simar, Aude ; Delroisse, Pauline ; Jacques, Pascal ; Marteleur, Matthieu ; Poncelet, Olivier ; Santos Macias, Juan Guillermo ; van der Rest, Camille. Mechanical properties of selective laser melted aluminium alloy AlSi10Mg: from bulk to thin structures. International Conference on Advanced Materials, Mechanics and Manufacturing (A3M) (Hammamet, Tunisia, du 17/12/2018 au 19/12/2018). Lezaack, Matthieu Baudouin ; Simar, Aude. Micro-hardness evolution in Friction Stir Processed 7475 aluminium plate. Colloque Indentation 2018 (Liège, du 11/09/2018 au 14/09/2018). Brassart, Laurence ; Morelle, Xavier ; Chevalier, Jérémy ; Lani, Frédéric ; Bailly, Christian ; Pardoen, Thomas. Micromechanics of Highly-Crosslinked Thermosets. 18th International Conference on the Strength of Materials (ICSMA 18) (The Ohio State University, Columbus, Ohio, USA, du 15/07/2018 au 19/07/2018). Pardoen, Thomas ; Morelle, Xavier ; Chevalier, Jérémy ; Brassart, Laurence ; Camanho, P. ; Bailly, Christian ; Lani, Frédéric. Micromechanics of cross-linked thermosets and application to composite multiscale modelling. International Conference on Composites (Liège, Belgium, du 02/10/2018 au 03/10/2018). Pardoen, Thomas ; Morelle, Xavier ; Chevalier, Jérémy ; Brassart, Laurence ; Camanho, P. ; Bailly, Christian ; Lani, Frédéric. Micromechanics of deformation and fracture in highly cross-linked thermosets. 16th European Mechanics of Materials Conference (Nantes, France, du 26/03/2018 au 28/03/2018). Pardoen, Thomas ; Morelle, Xavier ; Chevalier, Jérémy ; Brassart, Laurence ; Camanho, P. ; Bailly, Christian ; Lani, Frédéric. Micromechanics of deformation and fracture in highly cross-linked thermosets and size effects. IUTAM Symposium on Size-effect in Microstructure and Damage Evolution (Copenhagen, Denmark, du 28/05/2018 au 01/06/2018). Pardoen, Thomas. Microstructure heterogeneity dominated ductile fracture. Workshop on Topics in ductile fracture of metals (Trondheim, Norway, du 17/10/2018 au 18/10/2018). Yang Yun ; Lambrechts, Jonathan ; Deleersnijder, Eric ; Guan Weibing ; Wolanski Eric . Modelling fine-grained sediment transport in the Yangtze River Estuary and coastal zone. Aoshan Forum – Sediment Dynamics of Estuaries and Muddy Coasts (Pilot National Laboratory for Marine Science and Technology, Jimo, Qingdao, China , du 02/11/2018 au 03/11/2018). Chevalier, Jérémy ; Morelle, Xavier ; Camanho, Pedro ; Lani, Frédéric ; Pardoen, Thomas. Modelling of an epoxy matrix based on the shear transformation zone framework. 10th European Solid Mechanics Conference (Bologna, Italy, du 02/07/2018 au 06/07/2018). Lezaack, Matthieu Baudouin ; Florent, Hannard ; Simar, Aude. Modifications des propriétés d’endommagement de l’aluminium 7475 en tôle de forte épaisseur par le procédé de friction-malaxage. Matériaux 2018 (Strasbourg, France, du 18/11/2018 au 23/11/2018). Minette, Florent ; De Wilde, Juray. Multi-scale modeling of an annular structured catalytic reactor for steam methane reforming. AIChE Annual Meeting (Pittsburgh, du 28/10/2018 au 02/11/2018). Minette, Florent ; De Wilde, Juray. Multi-scale modeling of an annular structured catalytic reactor: application to steam methane reforming. Chemreactor-23 (Gent, du 05/11/2018 au 09/11/2018). Marianna Cafiero ; Dias, Véronique ; Stefanie Van Damme ; Jeanmart, Hervé ; Axel Coussement ; Alessandro Parente. NO Formation in Premixed Flat H2/CH4/CO/O2/N2 and H2/CH4/CO/O2/N2/C6H6 Flames at Low Pressure. 25th journées d'Etude of the Belgian Section of the Combustion Institute (Mons, Belgium, du 15/05/2018 au 16/05/2018). Leyssens, Lisa ; Ryelandt, Sophie ; Favache, Audrey ; Kerckhofs, Greet. Nanoindentation of biological tissues: opportunities and challenges for the bone-tendon interface. Indentation 2018 (Liège, du 11/09/2018 au 14/09/2018). Jimenez Mena, Norberto ; Sapanathan, Thaneshan ; Drezet, Jean-Marie ; Pirling, Thilo ; Jacques, Pascal ; Simar, Aude. Neutron diffraction residual stress measurements in aluminum/steel welds produced by Friction Melt Bonding. European Conference on Residual Stresses - ECRS10 (Leuven, Belgium, du 11/09/2018 au 14/09/2018). Idrissi, Hosni ; Samaeeaghmiyoni, V. ; Bollinger, C. ; Boioli, F. ; Gatti, R. ; Devincre, B. ; Cordier, P. ; Pardoen, Thomas ; Schryvers, Dominique. New dedicated methods for the improvement of quantitative in-situ TEM nanomechanical testing. European Mechanics of Material Conference (EMMC16) (Nantes, France, du 26/03/2018 au 28/03/2018). Francois, Guillaume ; Baudart, Francois ; Henrotte, Francois ; Dehez, Bruno. Numerical Investigation of Eddy Current Losses in Airgap PCB Windings of Slotless BLDC Motors. 2018 21st International Conference on Electrical Machines and Systems (ICEMS) (Jeju, du 7/10/2018 au 10/10/2018). In: 2018 21st International Conference on Electrical Machines and Systems (ICEMS), IEEE, 2018. 9788986510201. doi:10.23919/icems.2018.8549177. Lê, Hoàng Anh ; Pham Van chien ; Dang Huyen Xuan Vu ; Lambrechts, Jonathan ; Ortleb, Sigrun ; Gratiot, Nicolas ; Soares Frazao, Sandra ; Deleersnijder, Eric. Numerical modelling of flow in the Tonle Sap by means of a discontinuous Galerkin finite-element model. International Symposium on Lowland Technology (ISLT 2018) (Hanoi, Vitenam, du 26/09/2018 au 28/09/2018). In: International Symposium on Lowland technology (ISLT 2018), 2018. 978-604-82-2483-7. He, Zirui ; Minette, Florent ; De Wilde, Juray. Numerical simulation of industrial scale autothermal Chemical Looping Methane Reforming for syngas production in a dual fluidised bed reactor. XXIII International Conference on Chemical Reactors CHEMREACTOR‐23 (Gent, du 05/11/2018 au 09/11/2018). MATA Pablo ; Delandmeter, Philippe ; Lambrechts, Jonathan ; Deleersnijder, Eric ; Legat, Vincent. Numerical study of the hydrodynamics of a marine water body in Western Patagonia. ECCM-ECFD Conference 2018 (Glasgow, UK, du 11/06/2018 au 15/06/2018). Pardoen, Thomas ; Raskin, Jean-Pierre ; Coulombier, Michaël ; Jaddi, Sahar ; Ghidelli, Matteo ; Vayrette, Renaud ; Idrissi, Hosni. On a chip MEMS based mechanical testing. Workshop on stress in microelectronics (Leuven, Belgium, 10/09/2018). Jaddi, Sahar ; Coulombier, Michaël ; Raskin, Jean-Pierre ; Pardoen, Thomas. On a chip fracture mechanics test method. 16th European Mechanics of Materials Conference EMMC16 (Nantes, du 26/03/2018 au 28/03/2018) (Accepté/Sous presse). Lapouge, Pierre ; Onimus, F. ; Coulombier, Michaël ; Raskin, Jean-Pierre ; Pardoen, Thomas ; Bréchet, Yves. On chip study of the irradiation creep behavior of copper films . 16th European Mechanics of Materials Conference (Nantes, France, du 26/03/2018 au 28/03/2018). Zhao, Lv ; Simar, Aude ; Turteltaub, Sergio. On the fracture of Al/NiTi composite manufactured by friction stir processing. THERMEC'2018 (Paris, France, du 08/07/2018 au 13/07/2018). Hay, William Andrew ; Papalexandris, Miltiadis. On the influence of water-side turbulence on an evaporating free surface. 5th International Conference on Heat Transfer and Fluid Flow - (Madrid, Spain, du 16/08/2018 au 18/09/2018). In: Conference Proceedings, 5th International Conference on Heat and Fluid Flow, HTFF18, Madrid Spain, 2018. 978-1-927877-51-7. doi:10.11159/htff18.168. Santos Macias, Juan Guillermo ; Buffière, Jean-Yves ; Maire, Eric ; Adrien, Jérôme ; Elangeswaran, Chola ; Cutolo, Antonio ; Van Hooreweder, Brecht ; Lani, Frédéric ; Jacques, Pascal ; Simar, Aude. On the mechanical behaviour of SLM AlSi10Mg and its improvement by friction stir processing. EMMC16 - 16th European Mechanics of Materials Conference (Nantes, France, du 26/03/2018 au 28/03/2018). Dépinoy, S. ; Massart, T.J. ; Godet, Stéphane ; Pardoen, Thomas. On the mode I interfacial toughness of adhesive bonds accounting for strain-softening. 16th European Mechanics of Materials Conference (Nantes, France, du 26/03/2018 au 28/03/2018). Ghidelli, Matteo ; Coulombier, Michaël ; Pardoen, Thomas ; Idrissi, Hosni ; Schülli, T. ; Gravier, S. ; Blandin, J.J. ; Daudin, Rémi. On the processing, mechanical and structural characterization of ZrNi amorphous thin films. 25th International Symposium on Metastable, Amorphous and Nanostructured Materials (ISMANAM 2018) (Roma, Italy, du 02/07/2018 au 06/07/2018). In: Proceedings of the 25th ISMANAM 2018, 2018, p. ID #274.
de Radiguès de Chennevières, Quentin ; Proost, Joris. On the use of 3-D electrodes and pulsed voltage for the process intensification of alkaline water electrolysis. 2018 International Symposiumon Hydrogen Energy and Energy Technologies (HEET 2018) (Nagoya, Japan, du 15/11/2018 au 16/11/2018). In: Proceedings of the 2018 International Symposium on Hydrogen Energy and Energy Technologies (HEET 2018), 2018, p. 23. Mandy, Mélodie. On the use of deuterium to characterize hydrogen uptake mechanisms in 22MnB5 bare steel. 3rd international conference on metals and hydrogen (Ghent, du 29/05/2018 au 31/05/2018). Van Verdeghem, Joachim ; Kluyskens, Virginie ; Dehez, Bruno. Optimisation and Comparison of Axial Flux and Radial Flux Electrodynamic Thrust Bearings. 2nd IEEE Advance In Magnetics (AIM) (La Thuile, Italy, du 04/02/2018 au 07/02/2018). Reuter, Sarah ; Georges, Cédric ; Magnin, Delphine ; Demoustier-Champagne, Sophie ; Jacques, Pascal. Optimisation of the corrosion rate of iron-based alloys for bioresorbable stent applications by surface acidification. 10th Symposium on Biodegradable Metals for Biomedical Applications (Oxford, Royaume-Uni, du 26/08/2018 au 31/08/2018). Reuter, Sarah ; Georges, Cédric ; Jacques, Pascal. Optimisation of the corrosion rate of iron-based alloys for bioresorbable stent applications by surface acidification. EUROCORR 2018 (Cracovie, Pologne, du 09/09/2018 au 13/09/2018). van der Rest, Camille ; Poncelet, Olivier ; Roy, Geoffrey ; Marchal-Marchant, Valentin ; Erauw, Jean-Pierre ; Jacques, Pascal. Optimisation of the thermoelectric properties of Heusler Fe2VAl-based compounds through off-stoichiometry strategies. International Conference on Thermoelectrics (ICT2018) (Caen, France). Rosso, Angelica ; Saraiva Esteves Pacheco De Almeida, João ; Beyer, Katrin. Out-of-plane instability of thin single-layered members: advancements in the characterization of the mechanism. 16th European Conference on Earthquake Engineering (Thessaloniki, Greece). Beekman, Kerensa M. ; Zwaagstra, Marleen ; Veldhuis-Vlug, Annegreet G. ; de Heijer, Martin ; Maas, Mario ; Kerckhofs, Greet ; Parac-Vogt, Tatjana N. ; Bisschop, Peter H. ; Bravenboer N.. Ovariectomy increases RANKL protein expression in bone marrow adipocytes of C3H/HeJ mice. 28th Annual Meeting of the Nederlandse Vereniging voor Calcium- en Botstofwisseling (NVCB 2018). Goessens, Sébastien ; Rogeau, Nicolas ; De Beusscher, Gaëlle ; Mueller, Caitlin ; Latteur, Pierre. Parametric Design of Drone-Compatible Architectural Timber Structures. IASS 2018 CREATIVITY IN STRUCTURAL DESIGN (BOSTON USA, du 16/07/2018 au 20/07/2018). In: International Association for Shell and Spatial Structures. Bulletin, (2018). Van Beneden, Maxence ; Kluyskens, Virginie ; Dehez, Bruno. Passive compensation of the temperature effect on permanent magnet thrust bearing in hybrid system. International Symposium on Magnetic Bearings (ISMB16) (Beijing International Convention Center (www.bicc.com.cn) in Beijing, China, du 13/08/2018 au 17/08/2018). Blonder, Arielle ; Grobman, Yasha, J. ; Latteur, Pierre. Pleated Facades: Layered Fabric Materiality in FRP Surface Elements. IASS Symposium 2018 Creativity in Structural Design (BOSTON, USA, du 16/07/2018 au 20/07/2018). In: International Association for Shell and Spatial Structures. Bulletin, (2018). Tohala Pulgarin, Karem Paulette ; Ly Thi, Hong, Giang ; Delattre, Jérôme ; Bertheaume, Nicolas ; Parac-Vogt, Tatjana ; Penel, Guillaume ; Chauveau, Christophe ; Kerckhofs, Greet. Polyoxotungstate staining allows 3D contrast-enhanced microCT imaging of both soft and mineralized skeletal tissues in different skeletal locations. 4th International Meeting on Bone Marrow Adiposity (Lille, France, du 29/08/2018 au 31/08/2018). Santos Macias, Juan Guillermo ; Jacques, Pascal ; Bacroix, Brigitte ; Van Hooreweder, Brecht ; Elangeswaran, Chola ; Maire, Eric ; Adrien, Jérôme ; Simar, Aude. Post-treatment of additive manufactured aluminium parts: Friction stir processing and hot isostatic pressing . ICEM 2018 - 18th international conference on experimental mechanics (Brussels, Belgium, du 01/07/2018 au 05/07/2018). In: Proceedings of the ICEM 2018 - 18th international conference on experimental mechanics, 2018. Lucchese, P. ; Mansilla, C. ; Dolci, F. ; Dickinson, R.R. ; Funez, C. ; Grand-Clément, L. ; Hilliard, S. ; Proost, Joris ; Robinius, M. ; Salomon, M. ; Samsatli, S. ; Tliili, O.. Power-to-Hydrogen and Hydrogento- X : midterm appraisal of the IEA HIA Task 38 accomplishments. 22nd World Hydrogen Energy Conference (WHEC 2018) (Rio de Janeiro, Brazil, du 17/06/2018 au 22/06/2018). Winckelmans, Grégoire ; Toussaint, Jonathan ; Chatelain, Philippe ; Caprace, Denis-Gabriel. Prandtl second optimal wing: model design and testing with near wake PIV, and 3-D simulation. 71st Annual Meeting of the APS Division of Fluid Dynamics (Atlanta, du 18/11/2018 au 20/11/2018). de Radiguès de Chennevières, Quentin ; Dalne, Thomas ; Proost, Joris. Process intensification of alkaline water electrolysis using forced electrolyte flow through 3D electrodes. European Hydrogen Energy Conference (EHEC-2018) (Malaga, Spain, du 14/03/2018 au 16/03/2018). In: Proceedings of the European Hydrogen Energy Conference (EHEC-2018), 2018, p. 21. Idrissi, Hosni ; Samaeeaghmiyoni, V. ; Bollinger, C. ; Boioli, F. ; Gatti, R. ; Devincre, B. ; Cordier, P. ; Pardoen, Thomas ; Schryvers, Dominique. Pushing the limits of quantitative in-situ nanomechanical testing in TEM. Hands-on in-situ electron microscopy workshop (Karlsruhe, Germany, du 15/05/2018 au 17/05/2018). Hannard, Florent ; Simar, Aude ; Pardoen, Thomas ; Maire, Eric. Quantitative assessment of the impact of second phase particle arrangement on damage and fracture anisotropy. 16th European Mechanics of Materials Conference (Nantes, France, du 26/03/2018 au 28/03/2018). Frangi, Julia ; Kerckhofs, Greet ; Boulestreau, Jérémy ; Autrusseau, Florent ; Veziers, Joëlle ; Guicheux, Jérôme ; Penel, Guillaume ; Chauveau, Christophe ; Prieur, Xavier ; Beck, Laurent ; Beck-Cormier, Sarah. Role of PiT2 in bone and adipose tissues inter-communication?. 4th International Meeting on Bone Marrow Adiposity (Lille, France, du 29/08/2018 au 31/08/2018). Santos Macias, Juan Guillermo ; Jacques, Pascal ; Van Hooreweder, Brecht ; Elangeswaran, Chola ; Lani, Frédéric ; Maire, Eric ; Adrien, Jérôme ; Simar, Aude. SLM AlSi10Mg mechanical behaviour improvement by friction stir processing . 3rd Workshop on Metal Additive Manufacturing (Liège, Belgium, du 28/05/2018 au 29/05/2018). In: Proceedings of the 3rd Workshop on Metal Additive Manufacturing, 2018. Pardoen, Thomas. Solid mechanics on a chip. ESMC 2018, 10th European SOlid Mechanics Conference (Bologna, Italy, du 02/07/2018 au 06/07/2018). Bruyneel, M. ; Strepenne, F. ; Destoop, Vincent ; Pardoen, Thomas ; Lequesnes, C. ; Delsemme,J.P. ; Delumley Woodyear . Study of fiber waviness in composite structures supported by simulation. International Conference on Composites (Liège, Belgium, du 02/10/2018 au 03/10/2018). De Clercq, Katrien ; Persoons, Eleonora ; Kerckhofs, Greet ; Vriens, Joris. TRPV2 Deficient Mice Display Late-Onset Intra-Uterine Growth Restriction. 65th Annual Scientific Meeting of the Society-for-Reproductive-Investigation (SRI) (San Diego, CA, du 06/03/2018 au 10/03/2018). In: Reproductive Sciences, Vol. 25, p. 225A-225A (2018). Robinius, M. ; Linssen, J. ; Mansilla, C. ; Dolci, F. ; Dickinson, R. ; Funez, C. ; Grand-Clément, L. ; Hillard, S. ; Proost, Joris ; Leaver, J. ; Samsatli, S. ; Olfa, T. ; Valentin, S. ; Weidener, E. ; Lucchese, P.. Techno-economic Potentials and Market Trends for Power-to-Hydrogen and Hydrogen-to-X based on a Collaborative and International Review. 22nd World Hydrogen Energy Conference (WHEC 2018) (Rio de Janeiro, Brazil, du 17/06/2018 au 22/06/2018). In: Proceedings of the 22nd World Hydrogen Energy Conference (WHEC 2018), 2018, p. Abstract #80. De Clercq, Katrien ; Persoons, Eleonora ; Kerckhofs, Greet ; Vriens, Joris. The Use of Contrast-Enhanced Micro-CT for 3D Morphological Assessment of the Mature Murine Placenta. 65th Annual Scientific Meeting of the Society-for-Reproductive-Investigation (SRI) (San Diego, CA, du 06/03/2018 au 10/03/2018). In: Reproductive Sciences, Vol. 25, p. 157A-157A (2018). Ceresiat, Lise ; Grosshans, Holger ; Papalexandris, Miltiadis. The role of particle properties on powder electrification during pneumatic transport. 71st Annual Meeting of the APS Division of Fluid Dynamics (Atlanta, GA, du 18/11/2018 au 20/11/2018). Sapanathan, Thaneshan ; Jimenez Mena, Norberto ; Sabirov, Ilchat ; Molina-Aldareguia, Jon ; Monclus, Miguel ; Simar, Aude. Thermomechanical physical simulation of friction melt bonding for dissimilar Al/steel joints. THERMEC'2018, International Conference on Processing & Manufacturing of Advanced Materials (Paris, France, du 08/07/2018 au 13/07/2018). Vincent, David ; Karatekin, Ozgur ; Lambrechts, Jonathan ; Dehant, Véronique ; Deleersnijder, Eric. Tides and eigenmodes of an idealized subsurface global ocean on Titan. European Geosciences Union General Assembly 2018 (Vienna, du 08/04/2018 au 13/04/2018). de Bournonville, Sébastien ; Lambrechts, Toon ; Papantoniou, Ioannis ; Vanhulst, Johan ; Kerckhofs, Greet ; Geris, Liesbeth. Towards enabling of online perfused TE construct visualization through the development of a monitored and controllable benchtop bioreactor. 15th International Symposium on Computer Methods in Biomechanics and Biomedical Engineering (Lisbon, Portugal, du 26/03/2018 au 29/03/2018). Miotti Bettanini, Alvise. Unfolding the effect of residual ferrite on damage and fracture resistance in a martensitic stainless steel for automotive application. EMMC16 – 16th European Mechanics of Materials Conference (Nantes, France, du 26/03/2018 au 28/03/2018). Chatelain, Philippe. Vortex particle-mesh methods: accurate and efficient handling of solid boundaries. 44e Congrès national d'analyse numérique (Cap d'Agde, du 28/05/2018 au 01/06/2018). Proost, Joris ; Dalne, Thomas ; de Radiguès de Chennevières, Quentin. 3-D electrodes for large-scale electrochemical H2 production. 3th Energy & Materials Research Conference (EMR-2017) (Lisbonne / Portugal, du 05/04/2017 au 07/04/2017). In: Proceedings of the 3th Energy & Materials Research Conference (EMR-2017), 2017, p. 79. Dupont, Elise ; Jeanmart, Hervé. A Dynamic Function for the Energy Return on Investment (EROI) of Wind Energy. Wind Energy Science Conference (WESC-2017) (Copenhagen, du 26/06/2017 au 29/06/2017). Goessens, Sébastien ; de Furstenberg, Tassilo ; Manderlier, Charline ; Mueller, Caitlin ; Latteur, Pierre. A Few Aspects of UAV-based Construction . International Association for Shell and Spatial Structures (Hambourg, du 25/09/2017 au 29/09/2017). Martin, Benoît ; De Jaeger, Emmanuel ; Glineur, François. A comparison of convex formulations for the joint planning of microgrids. 24th International Conference & Exhibition on Electricity Distribution (CIRED) (Glasgow, du 12/06/2017 au 15/06/2017). In: CIRED, Open Access Proc. J, Vol. 2017, p. 2174–2178. doi:10.1049/oap-cired.2017.0841. Sousa, Romain ; Correia, António ; Saraiva Esteves Pacheco De Almeida, João ; Pinho, Rui. A fibre-based frame element with explicit consideration of bond-slip effects. 16th World Conference on Earthquake Engineering (Santiago, Chile, January 13-17, 2017). Jeanmart, Hervé ; Séverin Tanoh ; Ouedraogo, Rimnogdo Wilfried ; Yohan Richardson ; Sidibe, Sayon ; Bourgois, Frédéric ; François Pinto. A locally manufactured gasification technology for the valorization of agricultural wastes in West African countries. Sustainable Energy for Africa (Brussels, Belgium, du 23/10/2017 au 25/10/2017). Martin, Benoît ; Glineur, François ; De Jaeger, Emmanuel. A robust convex optimization framework for autonomous network planning under load uncertainty. IEEE Powertech 2017 (Manchester, du 18/06/2017 au 22/06/2017). In: Proceedings of 2017 IEEE Manchester PowerTech, Vol. 2017, p. 1-6. doi:10.1109/PTC.2017.7981053. van der Rest, Camille ; Marteleur, Matthieu ; Poncelet, Olivier ; Simar, Aude ; Jacques, Pascal. Additive manufacturing of AlSi10Mg: from microstructure to mechanical behaviour. Conception d’alliages métalliques (Aussois, France). Delroisse, Pauline ; Rigo, Olivier ; Jacques, Pascal ; Simar, Aude. AlSi10Mg lattice structures processed by selective laser melting: influence of the geometry and the heat treatments on the microstructure. TMS 2017 (San Diego, USA, du 26/02/2017 au 02/03/2017). Gillis, Thomas ; Winckelmans, Grégoire ; Chatelain, Philippe. An efficient iterative penalization method using recycled Krylov subspaces and its application to impulsively started flows. Computational Science Engineering (CSE17) (Atlanta, du 27/02/2017 au 03/03/2017). Tarquini, Danilo ; Saraiva Esteves Pacheco De Almeida, João ; Beyer, Katrin. An enhanced displacement-based element to account for tension shift effects. 16th World Conference on Earthquake Engineering (Santiago, Chile, January 13-17, 2017). In: Proceedings of the 16th World Conference on Earthquake Engineering, Vol. 3167 (2017) (published). Constant, Matthieu ; Dubois, Frédéric ; Lambrechts, Jonathan ; Legat, Vincent. An hybrid multiscale model for immersed granular flows. Particles 2017 (Hannover (Germany), du 26/09/2017 au 28/09/2017). Constant, Matthieu ; Dubois, Frédéric ; Lambrechts, Jonathan ; Legat, Vincent. An hybrid multiscale model for immersed granular flows. Powders and Grains 2017 – 8th International Conference on Micromechanics on Granular Media (Montpellier France, du 03/07/2017 au 07/07/2017). In: EPJ Web of Conferences, Vol. 140, p. 9-21 (2017). doi:10.1051/epjconf/201714009021. Docquier, Quentin ; Fisette, Paul. Analysis of MBS dynamics formulations for Solving Optimal Control problem. IUTAM Symposium on Intelligent Multibody Systems - Dynamics, Control, Simulation (Sozopol, Bulgaria, du 11/09/2017 au 15/09/2017). Dehem, Stéphanie ; Edwards, Martin ; Montedoro, Vincenza ; Detrembleur, Christine ; Stoquart, Gaëtan ; Renders, Anne ; Galinski, Daniel ; Sapin, Julien ; Vanderwegen, Martin ; Heins, Sophie ; Clarinval, Charlotte ; Frognet, Cécile ; Brouwers, Isaline ; Lejeune, Thierry. Assessment of upper limb motor impairments in children with cerebral palsy using a rehabilitation robot and serious game exercise. the 5th IEEE Conference on Serious Games and Applications for Health (Perth (Australie), du 02/04/2017 au 04/04/2017). Tarquini, Danilo ; Saraiva Esteves Pacheco De Almeida, João ; Beyer, Katrin. Axially Equilibrated Displacement-based Beam Element: Implementation in OpenSees and Application to Dynamic Analysis of Structures. COMPDYN 2017: 6th International Conference on Computational Methods in Structural Dynamics and Earthquake Engineering (Rhodes Island, Greece, 15-June 17, 2017). Fent, Ilaria ; Van Emelen, Sylvie ; Soares Frazao, Sandra. COMPARISION BETWEEN MODELS USED TO SIMULATE DAM BREAK FLOWS OVER A MOBILE BED MADE OF DIFFERENT MATERIALS. SimHydro 2017 - Choosing The Right Model in Applied Hydraulics (Nice, du 14/6/2017 au 16/6/2017). In: Advances in Hydroinformatics - SimHydro 2017 - Choosing The Right Model in Applied Hydraulics (Springer Water), Springer: Singapore, 2017. 978-981-10-7217-8. doi:10.1007/978-981-10-7218-5. Chevalier, Jérémy ; Morelle, Xavier ; Camanho, Pedro ; Lani, Frédéric ; Pardoen, Thomas. Characterization and multi-scale modeling of the transverse compression of thick RTM-processed uni-directional samples. 11th International Conference on Advanced Computational Engineering and Experimenting (Vienna, Austria, du 03/07/2017 au 06/07/2017). Beaufort, P.-A. ; Lambrechts, J. ; Henrotte, F. ; Geuzaine, C. ; Remacle, J.-F.. Computing cross fields A PDE approach based on the Ginzburg-Landau theory. International Meshing Roundtable. doi:10.1016/j.proeng.2017.09.799. Dias, Véronique ; Giorgetti, Simone ; Pochet, Maxime ; Bram, Svend ; Bricteux, Laurent ; Verhelst, Sebastian ; Blondeau, Julien ; Jeanmart, Hervé ; Contino, Francesco ; Parente, Alessandro. Contribution of chemical storage to the future energy networks. 2nd Conference Renewable Energy Sources - Research and Business 2017 (Wroclaw, Poland, du 19/06/2017 au 21/06/2017). Herman, Benoît. Could robotics make microsurgery accurate and fast?. Robotic Assisted Microsurgical & Endoscopic Society Conference (RAMSES2017) (Maastricht, the Netherlands, du 03/03/2017 au 04/03/2017). Lantsoght, Olivier ; Fisette, Paul ; Dubois, Frédéric ; Brüls, Olivier ; Docquier, Nicolas. Coupling multibody system and granular dynamics. Powders and Grains 2017 – 8th International Conference on Micromechanics on Granular Media (Montpellier, France, du 03/07/2017 au 07/07/2017). Lantsoght, Olivier ; Fisette, Paul ; Dubois, Frédéric ; Brüls, Olivier ; Docquier, Nicolas. Coupling multibody system and granular dynamics application to a 2D benchmark. 8th International Conference on Micromechanics of Granular Media (Powders and Grains) (Montpellier, du 03/07/2017 au 07/07/2017). In: EPJ Web of Conferences, Vol. 140, p. 16007 (2017). doi:10.1051/epjconf/201714016007. Simar, Aude. Damage in aluminium alloys. Seminar on "new aluminium alloys", invited by Skywin (Liège, Belgium, 22/11/2017). Roy, Geoffrey ; Ségolène Vannerem ; Marchal-Marchant, Valentin ; Poncelet, Olivier ; Van Der Rest, Camille ; Jacques, Pascal. Design of Low-cost Thermoelectric Generators for Autonomous Sensors and Actuators in Domestic Hot Water Systems . European Conference on Thermoelectrics (ECT17) (Padoue, Italie, du 25/09/2017 au 28/09/2017). Hannard, Florent ; Pardoen, Thomas ; Maire, Eric ; Simar, Aude. Ductilization of aluminium alloy 6056 by friction stir processing. FSWP 2017 (Metz, France, du 11/10/2017 au 13/10/2017). Lefebvre, Martin ; Van Verdeghem, Joachim ; Kluyskens, Virginie ; Dehez, Bruno. Dynamic modelling of passive electrodynamic self-bearing axial-flux permanent magnet machines. IEEE International Electric Machines and Drives Conference (IEMDC) (Miami, FL, USA, du 21/05/2017 au 24/05/2017). doi:10.1109/IEMDC.2017.8002151. Hannard, Florent ; Pardoen, Thomas ; Maire, Eric ; Simar, Aude. Effect of friction stir processing on the damage resistance of 6xxx series aluminium alloys. FSWP 2017 (Metz, France, du 11/10/2017 au 13/10/2017). Hannard, Florent ; Castin, Sidney ; Maire, Eric ; Mokso, Rajmund ; Pardoen, Thomas ; Simar, Aude. Effect of friction stir processing on the damage resistance of 6xxx series aluminium alloys. TMS 2017 (San Diego, USA, du 26/02/2017 au 02/03/2017). Tuyaerts, Romain ; Raskin, Jean-Pierre ; Proost, Joris. Electromechanical testing of ZnO thin films under high uniaxial strain. The 30th International Conference on Microelectronic Test Structures – ICMTS 2017 (Grenoble, France, du 28/03/2017 au 30/03/2017). In: Proceedings of the 30th International Conference on Microelectronic Test Structures – ICMTS 2017, IEEE, 2017, p. paper # 2.3. doi:10.1109/ICMTS.2017.7954261. Simar, Aude. Endommagement dans les alliages métalliques. Ecole Doctorale (Aussois, France, du 26/11/2017 au 01/12/2017). Vélez, Juan Carlos ; Blandón, Carlos A. ; Bonett, Ricardo ; Arteta, Carlos ; Carillo, Julian ; Saraiva Esteves Pacheco De Almeida, João ; Beyer, Katrin. Ensayos cuasi-estáticos cíclicos de muros delgados de concreto reforzado en edificios colombianos. VIII Congreso Nacional de Ingeniería Sísmica (Barranquilla, Colombia, May 31 - June 2, 2017). Daudin, Rémi ; Coulombier, Michaël ; Schülli, Tobias ; Zhou, Tao ; Idrissi, Hosni ; Raskin, Jean-Pierre ; Pardoen, Thomas. Etude de la déformation locale de films minces de verres métalliques par nano-diffraction de rayons X synchrotron . Journées annuelles de la SF2M, Matériaux, microstructures et fonctionnalités (Lyon, France, du 23/10/2017 au 25/10/2017). Pochet, Maxime ; Truedsson, Ida ; Foucher, Fabrice ; Jeanmart, Hervé ; Contino, Francesco. Experimental HCCI engine using hydrogen and ammonia. 8th European Combustion Meeting (Dubrovnik, du 18/04/2017 au 21/04/2017). Van Damme, Stefanie ; Dias, Véronique ; Jeanmart, Hervé ; Contino, Francesco. Experimental and Kinetic Modelling of Methyl Pentanoate Flames at Low Pressure. 8th European Combustion Meeting (Dubrovnik, Croatia, du 18/04/2017 au 21/04/2017). Lamberts, Olivier ; Chatelain, Philippe ; Bartosiewicz, Yann. Experimental and Numerical Analysis of the Flow within a Supersonic Ejector. ICHMT International Symposium on Advances in Computational Heat Transfer (Napoli (Italy), du 28/05/2017 au 01/06/2017). Rosso, Angelica ; Jiménez-Roa, L.A. ; Saraiva Esteves Pacheco De Almeida, João ; Beyer, Katrin. Experimental campaign on thin RC columns prone to out-of-plane instability: numerical simulation using shell element models. VIII Congreso Nacional de Ingeniería Sísmica (Barranquilla, Colombia, May 31 - June 2, 2017). Coudou, Nicolas ; Buckingham, S. ; van Beeck, J.. Experimental study on the wind-turbine wake meandering inside a scale model wind farm placed in an atmospheric-boundary-layer wind tunnel. Wake Conference 2017 (Uppsala University's Gotland CampusVisby, Sweden, du 30/05/2017 au 01/06/2017). In: Journal of Physics: Conference Series, Vol. 854, no.1, p. 012008 (2017). doi:10.1088/1742-6596/854/1/012008. Rosso, Angelica ; Saraiva Esteves Pacheco De Almeida, João ; Jimenez, Lisandro ; Guerrero, AP ; Blandon, Carlos A ; Bonett-Diaz, Ricardo ; Beyer, Katrin. Experimental tests on the out-of-plane response of RC columns subjected to cyclic tensile-compressive loading. 16th World Conference on Earthquake Engineering (Santiago, Chile, January 13-17, 2017). In: Proceedings of the 16th World Conference on Earthquake Engineering, Vol. 2539 (2017) (published). Duisit, Jérôme ; Vanthournhout, Léna ; Herman, Benoît ; Lengelé, Benoît ; Raucent, Benoît. First steps towards specific robotic assistance in microsurgery: requirements analysis on a rat model and primary design. Association Française des Chirurgiens de la Face (Honfleur, du 22/06/2017 au 24/06/2017). Vanin, Francesco ; Saraiva Esteves Pacheco De Almeida, João ; Beyer, Katrin. Force-based finite element for modelling the cyclic behaviour of unreinforced masonry piers. 16th World Conference on Earthquake Engineering (Santiago, Chile, January 13-17, 2017). In: Proceedings of the 16th World Conference on Earthquake Engineering, Vol. 2194 (2017) (published). Santos Macias, Juan Guillermo ; Van Hooreweder, Brecht ; Maire, Eric ; Adrien, Jérôme ; Jacques, Pascal ; Simar, Aude. Friction stir processing of additive manufactured AlSi10Mg parts to improve mechanical behaviour. FSWP2017 - 5th International Conference on Scientific and Technial Advances on Friction Stir Welding & Processing (Metz, France, du 11/10/2017 au 13/10/2017). In: Proceedings of the 5th International Conference on Scientific and Technial Advances on Friction Stir Welding & Processing, 2017. Leroi, Caroline ; De Jaeger, Emmanuel ; Bekemans, Marc. Harmonic disturbances up to 150 KHZ produced by small wind turbines on the LV distribution grid. 24th International Conference on Electricity Distribution (Glasgow, du 12/06/2017 au 15/06/2017). Montedoro, Vincenza ; Alsamour, Marie ; Dehem, Stéphanie ; Lejeune, Thierry ; Stoquart, Gaëtan ; Galinski, Daniel ; Dehez, Bruno ; Heins, Sophie ; Edwards, Martin. Hemineglect assessment and rehabilitation using a robotic serious game. the 5th IEEE Conference on Serious Games and Applications for Health (Perth (Australie), du 02/04/2017 au 04/04/2017). Frère, Ariane ; Hillewaert, Koen ; Chatelain, Philippe ; Winckelmans, Grégoire. High Reynolds number airfoil: from wall-resolved to wall-modeled LES . DLES 11 (Pise, du 29/05/2017 au 31/05/2017). Pellerin, J. ; Johnen, A. ; Remacle, J.-F.. Identifying combinations of tetrahedra into hexahedra: A vertex based strategy. International Meshing Roundtable. doi:10.1016/j.proeng.2017.09.779. Delroisse, Pauline ; Bruzy , Nicolas ; Rigo, Olivier ; Michotte, Sébastien ; Maire, Eric ; Jacques, Pascal ; Massart, Thierry ; Simar, Aude. Impact behavior of lattice structures produced by selective laser melting. TMS 2017 (San Diego, USA, du 26/02/2017 au 02/03/2017). Delroisse, Pauline ; Bruzy, Nicolas ; Rigo, Olivier ; Michotte, Sébastien ; Maire, Eric ; Jacques, Pascal ; Massart, Thierry ; Simar, Aude. Impact behavior of lattice structures produced by selective laser melting. TMS 2017 - The Minerals, Metals and Material Society (San Diego, USA, du 26/02/2017 au 02/03/2017). Fiengo Perez, Fabricio ; Deleersnijder, Eric ; Lambrechts, Jonathan. Impact of hypothetical radioactive releases in the Belgian inland rivers-sea continuum. 4th International Conference on Radioecology and Environmental Radioactivity (ICRER2017) (Berlin, Germany, du 03/09/2017 au 08/09/2017). Grosshans, Holger ; Szász , Robert-Zoltan ; Papalexandris, Miltiadis. Influence of the Helicopter Configuration on its Electrostatic Charging. 23rd AIAA Computational Fluid Dynamics Conference, (Denver, Colorado USA, du 05/06/2017 au 09/06/2017). In: 23rd AIAA Computational Fluid Dynamics Conference, 2017. 978-1-62410-506-7. doi:10.2514/6.2017-3617. Cafiero, Marianna ; Dias, Véronique ; Jeanmart, Hervé ; Coussement, Axel ; Parente, Alessandro. Investigation of NO Formation in Stoichiometric Premixed Flat H2/CH4/CO/O2/N2 at Low Pressure Flames Doped with Benzene . 3rd General Meeting and Workshop on SECs in Industry of SMARTCATs Action (Prague, Czech Republic , du 25/10/2017 au 27/10/2017). Pochet, Maxime ; Truesdsson, Ida ; Foucher, Fabrice ; Jeanmart, Hervé ; Contino, Francesco. Investigation of a carbon-free HCCI engine: the case of hydrogen-ammonia blends. 39th Task Leader Meeting - IEA (Baiona, Spain, du 18/06/2017 au 22/06/2017). Thomas, Aude ; Reuter, Sarah ; Scarcello, Eleonora ; D'Haese, Cécile ; Nysten, Bernard ; Lison, Dominique ; Jacques, Pascal. Iron-based biodegradable alloys: effect of composition and experimental parameters on the corrosion rate. EUROCOR 2017 - 20th International Corrosion Congress & Process Safety Congress 2017 (Prague / République Tchèque, du 03/09/2017 au 07/09/2017). Thomas, Aude ; Scarcello, Eleonora ; Lison, Dominique ; Jacques, Pascal. Iron-based biodegradable alloys: importance of the testing parameters for corrosion evaluation via immersion tests. 9th Biometal Symposium on Biodegradable Metals for Biomedical Applications (Bertinoro / Italy, du 27/08/2017 au 01/09/2017). Thomas, Aude ; Scarcello, Eleonora ; Lison, Dominique ; Jacques, Pascal. Iron-based biodegradable alloys: importance of the testing parameters for corrosion evaluation via immersion tests.. Action Nationale de Formation CNRS Conception d'alliages métalliques (Aussois, du 27/11/2017 au 01/12/2017). Caprace, Denis-Gabriel ; Duponcheel, Matthieu ; Chatelain, Philippe ; Winckelmans, Grégoire. LES of an Advancing Helicopter Rotor, and Near to Far Wake Assessment. 70th Annual Meeting of the APS Division of Fluid Dynamics (Denver, du 19/11/2017 au 21/11/2017). Bartosiewicz, Yann. Large Eddy SImulation for Heat transfer in liguid metals. Lecture Series, Von Karman Institute. Bartosiewicz, Yann. Large Eddy Simulation for Heat transfer in liquid metals. Thermal-hydraulics and chemistry of liquid metal cooled reactors, VKI lecture series. Caprace, Denis-Gabriel ; Buffin, Simon ; Duponcheel, Matthieu ; Chatelain, Philippe ; Winckelmans, Grégoire. Large Eddy Simulation of Advancing Rotor for Near to Far Wake Assessment. 43rd European Rotorcraft Forum (Milano, Italy, du 12/09/2017 au 15/09/2017). Buckingham, Sophia ; Koloszar ; Bartosiewicz, Yann ; Winckelmans, Grégoire. Large-eddy simulation of turbulent heat transfer at low prandtl number over a backward facing step. NURETH 17 (Xi'an (China), du 04/09/2017 au 09/09/2017). Duponcheel, Matthieu ; Bartosiewicz, Yann. Low Prandtl Turbulent Heat Transfer in Unconfined or Wall-Bounded Configurations: DNS of a Mixing Layer and of an Impinging Jet. NURETH 17 (Xi'an (China), du 04/09/2017 au 10/09/2017). Lorieul, Gaël ; Chatelain, Philippe ; Bartosiewicz, Yann. Low-Prandtl heat transfer in free-surface flows: assessment of a Vortex Particle Mesh method. NURETH 17 (Xi'an (China), du 04/09/2017 au 10/09/2017). Carlier d'Odeigne, Olivier ; Franzini, Fabian ; Coutinho Machado Da Rosa, Guilherme ; Janssens, Nils ; Soares Frazao, Sandra. MEASUREMENT OF THE FREE-SURFACE ELEVATION FOR FLOWS IN COMPLEX TOPOGRAPHY USING PHOTOGRAMMETRY. SimHydro 2017 - Choosing The Right Model in Applied Hydraulics (Nice, du 14/6/2017 au 16/6/2017). In: Advances in Hydroinformatics - SimHydro 2017 - Choosing The Right Model in Applied Hydraulics (Springer Water), Springer: Singapore, 2017. 978-981-10-7217-8. doi:10.1007/978-981-10-7218-5. Joseph, Adermus ; Nyankona Gonomy ; Zech, Yves ; Soares Frazao, Sandra. MODELLING AND ANALYSIS OF THE FLOOD RISK AT CAVAILLON CITY, HAITI. SimHydro 2017 - Choosing The Right Model in Applied Hydraulics (Nice, du 14/6/2017 au 16/6/2017). In: Advances in Hydroinformatics - SimHydro 2017 - Choosing The Right Model in Applied Hydraulics (Springer Water), Springer : Singapore, 2017. 978-981-10-7217-8. doi:10.1007/978-981-10-7218-5. Franzini, Fabian ; Hoedenaeken, Damien ; Soares Frazao, Sandra. MODELLING THE FLOW AROUND ISLANDS IN RIVERS USING A ONEDIMENSIONAL APPROACH. SimHydro 2017 - Choosing The Right Model in Applied Hydraulics (Nice, du 14/6/2017 au 16/6/2017). In: Advances in Hydroinformatics - SimHydro 2017 - Choosing The Right Model in Applied Hydraulics (Springer Water), Springer: Singapore, 2017. 978-981-10-7217-8. doi:10.1007/978-981-10-7218-5. Schwindt, N ; von Pidoll ; Markus, D ; Klausmeyer, U ; Papalexandris, Miltiadis ; Grosshans, Holger. Measurement of electrostatic charging during pneumatic conveying of powders. Electrostatics (Frankfurt, Germany, du 10/04/2017 au 13/04/2017). Simar, Aude ; Mertens, Anne ; Brassart, Laurence ; Lecomte-Beckers, Jacqueline ; Delannay, Francis. Micro-mechanical testing of magnesium based composites reinforced by carbon fibers manufactured by friction stir processing. TMS 2017 (San Diego, USA, du 26/02/2017 au 02/03/2017). Daoudi, S. ; Deleersnijder, Eric ; Elmahi, I. ; Yachouti, A.. Modelling and computation of residence time in coastal lagoons: The case of Nador lagoon (Morocco). 7th International Conference on Approximation Methods and Numerical Modelling in Environmental and Natural Resources (MAMERN VII-2017) (Oujda, Morocco, du 17/05/2017 au 20/05/2017). Vanin, Francesco ; Saraiva Esteves Pacheco De Almeida, João ; Beyer, Katrin. Modelling of the Cyclic Response of an Unreinforced Masonry Wall through a Force Based Beam Element. 13th Canadian Masonry Symposium (Halifax, Canada, June 4-7, 2017). Delandmeter, Philippe ; Lambrechts, Jonathan ; Vallaeys, Valentin ; Naithani, Jaya ; Remacle, Jean-François ; Legat, Vincent ; Deleersnijder, Eric. Modelling the oscillations of the thermocline in a lake by means of a fully consistent and conservative 3D finite-element model with a vertically adaptive mesh. European Geosciences Union General Assembly 2017 (Vienna (Austria), du 24/04/2017 au 28/04/2017). Constant, Matthieu ; Dubois, Frédéric ; Lambrechts, Jonathan ; Legat, Vincent. Modèle hybride multi-échelles pour les écoulements granulaires immergés. 13ième colloque national en calcul des structures (Giens (France), du 15/05/2017 au 19/05/2017). Carlier d'Odeigne, Olivier ; Zech, Yves ; Soares Frazao, Sandra. NUMERICAL MODELING OF THE FLOW ON A DAMAGED WEIR APPLICATION TO THE CAVAILLON RIVER, HAITI. 37th IAHR World Congress (Kuala Lumpur, du 13/08/2017 au 18/08/2017). In: Proceedings of the 37th IAHR World Congress, IAHR & USAINS HOLDING SDN BHD, 2017. 978-981-10-7217-8, p. 1253-1260. Kerckhofs, Greet ; Luyten, Frank ; Geris, Liesbet. NanoCT and contrast-enhanced nanoCT as first line screening and quality control tools for robust production of tissue engineered products: an overview. Belgian symposium on tissue Engineering (BSTE) 2017 (Leuven, Belgium, 4-6 May 2017). Delvaux, Adeline ; Lumbeeck, G. ; Schryvers, D. ; Idrissi, Hosni ; Proost, Joris. Nickel thin film electro-activation by hydrogen adsorption. 8th International Conference on Hydrogen Production (ICH2P) (Brisbane, Australia, du 29/07/2017 au 31/07/2017). In: Proceedings of the 8th International Conference on Hydrogen Production (ICH2P), 2017, p. 106 (Soumis). Szyndler, Joanna ; Delannay, Laurent ; Muszka, Krzysztof ; Madej, Lukasz. Numerical and experimental microscale analysis of the incremental forming process. Proceedings of the 20th International ESAFORM Conference on Material Forming (Dublin, Ireland, du 26/04/2017 au 28/04/2017). In: AIP Conference Proceedings, Vol. 1896, p. 080006 (2017). doi:10.1063/1.5008086. Schrooyen, Pierre ; Coheur, Joffrey ; Turchi, Alessandro ; Hillewaert, Koen ; Chatelain, Philippe ; Magin, Thierry. Numerical simulation of a non-charring ablator in high enthalpy flows by means of a unified flow-material solver. 47th AIAA Thermophysics Conference (Denver, Colorado). In: AIAA Aviation Forum, Vol. 2017, no.1, p. 3352 (June 2017). doi:10.2514/6.2017-3352. Rosso, Angelica ; Saraiva Esteves Pacheco De Almeida, João ; Beyer, Katrin. Numerical simulation with fibre beam-column models of thin RC column behaviour under cyclic tension-compression. 16th World Conference on Earthquake Engineering (Santiago, Chile, January 13-17, 2017). In: Proceedings of the 16th World Conference on Earthquake Engineering, (2017) (published). Docquier, Quentin ; Habra, Timothée ; Docquier, Nicolas ; Fisette, Paul. Optimal Control of the tilting modes transition for a Narrow Track Vehicle through MBS Modelling. ECCOMAS Thematic Conference on Multibody Dynamics (Prague, Czech Republic, du 19/06/2017 au 22/06/2017). In: Proceedings of the ECCOMAS Thematic Conference on Multibody Dynamics, 2017. Reuter, Sarah ; Georges, Cédric ; Jacques, Pascal. Optimisation of the corrosion rate of iron-based alloys for bioresorbable stent applications by surface acidification. 9th Symposium on Biodegradable Metals for Biomedical Applications (Bertinoro, Italie, du 27/08/2017 au 01/09/2017). Reuter, Sarah ; Georges, Cédric ; Jacques, Pascal. Optimisation of the corrosion rate of iron-based alloys for bioresorbable stent applications by surface acidification. Joint EUROCORR 2017 & 20th ICC & Process Safety Congress 2017 (Prague, République tchèque, du 03/09/2017 au 07/09/2017). Miotti Bettanini, Alvise. Overcoming the Diffusion Bottleneck: Effect of Alloying Elements on Phase Transformations and Carbides Dissolution in Martensitic Stainless Steels. CALPHAD 2017 (Saint-Malo, France, du 11/06/2017 au 16/06/2017). Monsorno, Davide ; Papalexandris, Miltiadis. Particle migration in granular suspensions: a numerical study of sedimentation processes. APS 70th Annual meeting of the Division of Fluid Dynamics (Denver, CO, USA, du 19/11/2017 au 21/11/2017). Ismail, Karim ; Brassart, Laurence ; Perlade, Astrid ; Jacques, Pascal ; Pardoen, Thomas. Plasticity and Fracture in Dual-Phase steels exhibiting a platelet-like microstructure. International Workshop on Computational Mechanics of Materials (IWCMM27) (Leuven, Belgique, du 20/09/2017 au 22/09/2017). Lucchese, P. ; Mansilla, C. ; Dolci, F. ; Dickinson, R.R. ; Funez, C. ; Grand-Clément, L. ; Hilliard, S. ; Proost, Joris ; Robinius, M. ; Salomon, M. ; Samsalti, S.. Power-to-Hydrogen and Hydrogen-to-X: latest results of Task 38 of the IEA Hydrogen Implementing Agreement. 7th European Fuel Cell Technology & Applications Conference (EFC-17) (Naples, Italy, du 12/12/2017 au 15/12/2017). In: Proceedings of the 7th European Fuel Cell Technology & Applications Conference (EFC-17), 2017, p. Abstract 145. Proost, Joris ; Dalne, Thomas ; de Radiguès de Chennevières, Quentin. Process intensification of alkaline water electrolysis by using 3-D electrodes. 1st International Conference on Electrolysis (ICE) (Copenhague, Danemark, du 12/06/2017 au 15/06/2017). In: Proceedings of the 1st International Conference on Electrolysis (ICE), 2017, p. 102. Jomaux, Julien ; Mercier, Thomas ; De Jaeger, Emmanuel. Provision of frequency containment reserves with batteries and power-to-heat. 2017 IEEE Manchester PowerTech (Manchester, United Kingdom). doi:10.1109/PTC.2017.7980915. Mercier, Thomas ; Jomaux, Julien ; Olivier, Mathieu ; De Jaeger, Emmanuel. Provision of primary frequency control with variable-speed pumped-storage hydropower. 2017 IEEE Manchester PowerTech (Manchester, United Kingdom). doi:10.1109/PTC.2017.7980920. Abedrabbo Ode, Gabriel ; Cartiaux, Olivier ; Mahaudens, Philippe ; Detrembleur, Christine ; Mousny, M ; Fisette, Paul. Quantification of Intervertebral Efforts Using a Multibody Dynamics Approach: Application to Scoliosis. ECCOMAS Thematic Conference on Multibody Dynamics (Prague, Czech Republic, du 19/06/2017 au 22/06/2017). In: Proceedings of the ECCOMAS Thematic Conference on Multibody Dynamics, 2017. Abedrabbo Ode, Gabriel ; Cartiaux, Olivier ; Mahaudens, Philippe ; Detrembleur, Christine ; Mousny, Maryline ; Fisette, Paul. Quantification of Intervertebral Efforts Using a Multibody Dynamics Approach: Application to Scoliosis. ECCOMAS Thematic Conference on Multibody Dynamics (Prague, Czech Republic, du 19/02/2019 au 22/02/2019). Tran, H.-S ; Tummalah, Hareesh ; Duchêne, L ; Pardoen, Thomas ; Fivel, Marc ; Habraken, A.-M.. Quasicontinuum analysis of dislocation-coherent twin boundary interaction to provide local rules to discrete dislocation dynamics. 20th International ESAFORM Conference on Material Forming (Dublin, Ireland, du 26/04/2017 au 28/04/2017). In: AIP Conference Proceedings, Vol. 1896, no.1 (2017). doi:10.1063/1.5008190 . Johnen, A. ; Weill, J.-C. ; Remacle, J.-F.. Robust and efficient validation of the linear hexahedral element. International Meshing Roundtable. doi:10.1016/j.proeng.2017.09.809. Franzini, Fabian ; Chen, Tzu-Yin ; Capart, Hervé ; Soares Frazao, Sandra. SCOURING AT THE INTERFACE BETWEEN FIXED AND MOBILE BED IN STEEP SLOPED CHANNELS. 37th IAHR World Congress (Kuala Lumpur, du 13/08/2017 au 18/08/2017). In: Proceedings of the 37th IAHR World Congress, IAHR & USAINS HOLDING SDN BHD, 2017. 978-90-824846-0-1, p. 5454-5462. Ducarme, Delphine ; Labrique, Sophie ; Raucent, Benoît. Se former en ligne au Tutorat : un défi pour les assistants-chercheurs. Questions de pédagogie dans l'enseignement supérieur (Grenoble, du 13/06/2017 au 16/06/2017). In: Questions de pédagogie dans l'enseigneùeny. In: Multiples "questions de pédagogie dans l'enseignement supérieur - les défis de l'altérité"., QPES: Grenoble, 2017. Verhetsel, Kilian ; Pellerin, Jeanne ; Johnen, Amaury ; Remacle, Jean-François. Solving the Maximum Weight Independent Set Problem: Application to Indirect Hexahedral Mesh Generation. 26th International Meshing Roundtable (Barcelona, du 18/09/2017 au 21/09/2017) (Accepté/Sous presse). Caprace, Denis-Gabriel ; Henneaux, David ; Chatelain, Philippe ; Winckelmans, Grégoire. Space Developing Shear Layer with Weak Inflow Turbulence. 70th Annual Meeting of the APS Division of Fluid Dynamics (Denver, CO, du 19/11/2017 au 21/11/2017). doi:10.1103/aps.dfd.2017.gfm.v0028. Proost, Joris. State-of-the-art CAPEX data for water electrolysers, and their impact on renewable hydrogen price settings. 7th European Fuel Cell Technology & Applications Conference (EFC-17) (Naples, Italy, du 12/12/2017 au 15/12/2017). In: Proceedings of the 7th European Fuel Cell Technology & Applications Conference (EFC-17),, 2017, p. abstract 118. Vincent, David ; Karatekin, Ozgür ; Dehant, Véronique ; Deleersnijder, Eric. Study of liquid exchanges between Titan’s seas Kraken Mare and Ligeia Mare. European geoscience Union General Assembly (Vienna, Austria, du 23/04/2017 au 28/04/2017). Mandy, Mélodie ; Georges, C. ; Drillet, P. ; Sturel, T. ; Jacques, Pascal. Study of the hydrogen introduction in bare and Al-Si coated steels during the hot stamping process. 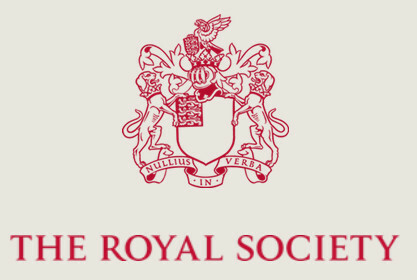 The challenges of hydrogen and metals, discussion meeting organised by the Royal Society (London, UK, 18/01/2017). Cushman-Roisin, Benoît ; Deleersnijder, Eric. Subtleties in reducing 3D rotating dynamics to a 2D model. 4th International Symposium of Shallow Flows (Eindhoven, The Netherlands, du 26/06/2017 au 28/06/2017). Guns, Laura-An ; Kvasnytsia, Maryna ; Kerckhofs, Greet ; Vandooren, Jennifer ; Martens, Erik ; Opdenakker, Ghislain ; Lories, Rik J ; Cailotto, Frédéric. Suramin protects against osteoarthritis by increasing tissue inhibitor of matrix metalloproteinase-3 and glycosaminoglycans in the articular cartilage. 37th European Workshop for Rheumatology Research (Athens, Greece, du 02/03/2017 au 04/03/2017). In: ANNALS OF THE RHEUMATIC DISEASES, Vol. 76, no.-, p. A42-A43 (2017). doi:10.1136/annrheumdis-2016-211051.4. Bhaduri, Subir Swaraj ; Jeanmart, Hervé ; Contino, Francesco. Tar tolerant HCCI engine fuelled with biomass syngas : combustion control through EGR. International Conference on Applied Energy, ICAE (Beijing ; China, du 08/10/2016 au 11/10/2016). In: Energy Procedia, Vol. 105, p. 1764-1770 (2017). doi:10.1016/j.egypro.2017.03.507. Straumit, Ilya ; Kerckhofs, Greet ; Lomov, Stepan Vladimirovitch ; Wevers, Martine. The necessity of X-ray computed tomography to reveal the hierarchical structure of materials. iCT 2017, 7th Conference on Industrial Computed Tomography (Leuven, Belgium, 7-9 February 2017). Verlé, Aubain ; Fisette, Paul. Three-Wheeler Performance Optimization: Dynamics-Based Design Of A First Prototype.. The 25th International Symposium on Dynamics of Vehicles on Roads and Track. (Rockhampton, Queensland, Autralie., du 14/08/2017 au 18/08/2017). In: Dynamics of Vehicles on Roads and Tracks Vol 1, 2017. 9781351057257, 542. Marichal, Y ; De Visscher, I ; Chatelain, Philippe ; Winckelmans, Grégoire. Towards physics-based operational modeling of the unsteady wind turbine response to atmospheric and wake-induced turbulence. Wake Conference 2017 (Uppsala University's Gotland CampusVisby, Sweden, du 30/05/2017 au 01/06/2017). In: Journal of Physics: Conference Series, Vol. 854, no.1, p. 012030 (2017). doi:10.1088/1742-6596/854/1/012030. Deleersnijder, Eric ; Burchard, Hans ; Delandmeter, Philippe ; Delhez, Eric ; Hanert, Emmanuel ; Mouchet, Anne ; Umlauf, Lars. Using the age to diagnose the evolution of turbulence kinetic energy and,possibly, other variables unrelated to the concentration of a constituent. 49th International Liège Colloquium on Ocean Dynamics & 8th Warnemuende Turbulence Days (Liège, Belgium, du 22/05/2017 au 26/05/2017). Georgiou, Michail ; Papalexandris, Miltiadis. Wall-resolved Large Eddy Simulations of turbulent heat transfer in a T-junction. APS 70th Annual Meeting of the Division of Fluid Dynamics (Denver, CO, USA, du 19/11/2017 au 21/11/2017). Rosso, Angelica ; Saraiva Esteves Pacheco De Almeida, João ; Beyer, Katrin. Zone di bordo di pareti sottili in calcestruzzo armato vulnerabili a instabilità fuori-piano : risultati sperimentali e modellazione numerica. XVI Conference of the Italian Association of Seismic Engineering (Pistoia, Italy). Hannard, Florent ; Simar, Aude ; Maire, Eric ; Le Bourlot, C. ; Pardoen, Thomas. Étude de l’impact du procédé de friction malaxage sur la rupture ductile dans les alliages d’aluminium. Journées annuelles de la SF2M, Matériaux, microstructures et fonctionnalités (Lyon, France, du 23/10/2017 au 25/10/2017). Dupont, Elise ; Jeanmart, Hervé. A Dynamic Function for the Energy Return on Investment of Wind Energy. BERA PhD Day (Louvain-La-Neuve, 05/12/2016). Inanç, M. ; Pardoen, Thomas ; Tekoglu, C.. A Numerical Investigation of the Effects of the Per-Phase Properties on the Ductility of Dual-Phase (DP) Steels. 15th European Mechanics of Materilas Conference (EMMC15) (Brussels, Belgium, du 07/09/2016 au 09/09/2016). Vallaeys, Valentin ; Deleersnijder, Eric ; Hanert, Emmanuel. A baroclinic model of the Columbia river-to-ocean continuum. 15th International workshop on Multi-scale (Un)-structured mesh numerical Modeling for coastal, shelf and global ocean dynamics (Toulouse, France, du 27/09/2016 au 30/09/2016). Jomaux, Julien ; Mercier, Thomas ; De Jaeger, Emmanuel. A methodology for sizing primary frequency control in function of grid inertia. 2016 IEEE International Energy Conference (ENERGYCON) (Leuven, Belgium). doi:10.1109/ENERGYCON.2016.7513886. Monsorno, Davide ; Varsakelis, Christos ; Papalexandris, Miltiadis. A nonlinear de-scription of the viscosity and dilatancy of granular suspensions. APS 69th Annual Meeting of the Division of Fluid Dynamics (Portland (Oregon), du 20/11/2016 au 22/11/2016). De Fusco, Lucio ; Defoort, F.. A thermochemical approach based on phase diagrams to characterize biomass ash and select the optimal thermal conversion technology. the 6th International Symposium on Energy from Biomass and Waste (Venice (Italy), du 14/11/2016 au 17/11/2016). Idrissi, Hosni ; Ghidelli, Matteo ; Gravier, Sébastien ; Blandin, Jean-Jacques ; Raskin, Jean-Pierre ; Pardoen, Thomas ; Schryvers, Dominique. Advanced TEM Study of Homogeneous Flow and Size Dependent Mechanical Behaviour in Highly Ductile Zr65Ni35 Metallic Glass Films. MRS Fall Meeting 2016 (Boston, MA, USA, du 27/11/2016 au 02/12/2016). In: European Microscopy Congress 2016: Proceedings, 2016. doi:10.1002/9783527808465.EMC2016.5990 (Soumis). Delroisse, Pauline ; Rigo, Olivier ; Maire, Eric ; Jacques, Pascal ; Simar, Aude. Aluminum lattice structures processed by additive manufacturing: Mechanical and microstructural characterization. Workshop on additive manufacturing (Bruxelles, du 26/05/2016 au 27/05/2016). Delandmeter, Philippe ; Lambrechts, Jonathan ; Remacle, Jean-François ; Legat, Vincent ; Deleersnijder, Eric. An adaptive vertical coordinate system for a coastal flows discontinuous Galerkin finite element model. Joint Numerical Sea Modelling Group Conference (JONSMOD 2016) (Oslo, du 10/05/2016 au 12/05/2016). Lamberts, Olivier ; Bartosiewicz, Yann ; Chatelain, Philippe. Analysis of Energy and Exergy Fluxes in a Supersonic Ejector. Heat Powered Cycles HPC 2016 (Nottingham, UK). In: Heat Powered Cycles 2016 Proceedings, 2016. 978-0-9563329-5-0. Shabadi, Rajashekhara ; Gudla, Visweswara ; Rajan, Ambat ; Jensen, Flemming ; Simar, Aude. Anodization behaviour of friction stir processed aluminium surface composites. Thermec 2016 (Graz, Austria, du 29/05/2016 au 03/06/2016). Antoniadis, Panagiotis ; Papalexandris, Miltiadis. Application of a thermomechanical model for coupled porous media - clear fluid flows to the combustion of porous fuels. 24th “Journées d’étude” of the Belgian Section of the Combustion Institute (Louvain-la-Neuve, Belgium, du 19/05/2016 au 20/05/2016). Van Damme, Stefanie ; Dias, Véronique ; Jeanmart, Hervé ; Contino, Francesco. Assessing radiation losses by temperature measurements in laminar flat flames. Combura Symposium 2016 (Soesterberg, The Netherlands, du 05/10/2016 au 06/10/2016). Ferreira Aleixo, Rui Jorge ; Soares Frazao, Sandra ; Zech, Yves. Before the dam breaks: Analysis of the flow behind a downward moving gate. River Flow 2016 (Saint-Louis, USA, du 11/07/2016 au 14/07/2016). In: River Flow 2016, CRC Press - Taylor and Francis Group, 2016. 978-1-138-02913-2. Biferi, Giulio ; Mazzelli, Federico ; Little, Adrienne ; Garimella, Srinivas ; Bartosiewicz, Yann. CFD Modeling of High-Speed Condensation in Supersonic Nozzles, Part II: R134a. Fourth International Conference on Computational Methods for Thermal Problems ThermaComp2016 (Atlanta, USA). Delroisse, Pauline ; Rigo, Olivier ; Jacques, Pascal ; Simar, Aude. Caractérisation de la résistance à l'impact de structures lattices en AlSi10Mg obtenues par Fabrication additive (SLM). Journées annuelles de la SF2M (Albi, France, du 25/10/2016 au 27/10/2016). Proost, Joris. Challenges and pitfalls while establishing a H2 mobility plan for Belgium (Invited presentation). 7th International Conference on Hydrogen Technologies, Symposium on Implementation of H2 technologies in European regions (Prague, Czech Republic, du 06/04/2016 au 08/04/2016). In: Proceedings of the 7th International Conference on Hydrogen Technologies, Symposium on Implementation of H2 technologies in European regions, 2016, p. 39. Chevalier, Jérémy ; Janssens de Bisthoven, Yann-Alex ; Camanho, Pedro ; Pardoen, Thomas ; Lani, Frédéric. Characterization and multi-scale modeling of the transverse compression of thick RTM-processed unidirectional samples. 17th European Conference on Composite Materials (Munich, du 26/06/2016 au 30/06/2016). De Visscher, Ivan ; Winckelmans, Grégoire ; Treve, Vincent. Characterization of aircraft wake vortex circulation decay in reasonable worst case conditions. 54th AIAA Aerospace Sciences Meeting, AIAA Science and Technology Forum and Exposition (SciTech 2016) (San Diego,USA, du 04/01/2016 au 08/01/2016). De Fusco, Lucio ; Defoort, Françoise ; Blondeau, Julien ; Jeanmart, Hervé ; Contino, Francesco. Characterization of sunflower husks fouling in a Drop Tube Furnace: comparison of deposits with H3PO4, CaCO3 and Al2Si2O5(OH)4 additives. the 24th European Biomass Conference and Exhibition (EUBCE 2016) (Amsterdam, du 06/06/2016 au 09/06/2016). In: Proceeding of the 24th European Biomass Conference and Exhibition, , p. 748-755 (2016). doi:10.13140/RG.2.2.17818.44481. Jacques, Kevin ; Geuzaine, Christophe ; Henrotte, François ; Gyselinck, Johan. Comparison between differential and variational forms of an energy-based hysteresis model. 2016 IEEE International Energy Conference (ENERGYCON) (Leuven, Belgium). doi:10.1109/ENERGYCON.2016.7513884. Van Beneden, Maxence ; Kluyskens, Virginie ; Dehez, Bruno. Comparison between optimized topologies of permanent magnet thrust bearings with back-iron. The 15th international symposium on Magnetic Bearings (Kitakyushu, Japan, du 03/08/2016 au 06/08/2016). In: Proceedings of ISMB15, 2016. --. Delandmeter, Philippe ; Chen, Wei ; Deleersnijder, Eric ; Lambrechts, Jonathan ; Legat, Vincent ; Remacle, Jean-François ; Wolanski, Eric ; Marmorino, Geroge. Comparison of a satellite-derived high-resolution current map and numerical modelling of submesoscale eddies in a shallow-water domain. ECSA56 - Coastal Systems in Transition (Bremen, Germany, du 04/09/2016 au 07/09/2016). Delandmeter, Philippe ; Chen, Wei ; Deleersnijder, Eric ; Lambrechts, Jonathan ; Legat, Vincent ; Remacle, Jean-François ; Marmorino, George ; Wolanski, Eric. Comparison of a satellite-derived high-resolution current map and numerical modelling of submesoscale eddies in a shallow-water domain. 48th International Liege Colloquium on Ocean Dynamics Submesoscale Processes: Mechanisms, Implications and new Frontiers (Liège, du 23/05/2016 au 27/05/2016). Lantsoght, Olivier ; Fisette, Paul ; Dubois, Frédéric ; Brüls, Olivier ; Docquier, Nicolas. Coupling multibody and granular dynamics: application to a 2D benchmark. The Fourth Joint International Conference on Multibody System Dynamics - IMSD 2016 (Montréal, Canada, du 29/05/2016 au 02/06/2016). Ismail, Karim ; Pierman, Anne-Pascale ; Pardoen, Thomas ; Jacques, Pascal ; Brassart, Laurence ; Perlade, Astrid. Damage Mechanisms and Fracture Toughness of Fibrous Dual-Phase Steels for Automotive Applications. ECF21 21st European Conference on Fracture (Catania, Italy, du 20/06/2016 au 24/06/2016). Ismail, Karim ; Pierman, Anne-Pascale ; Brassart, Laurence ; Perlade, Astrid ; Jacques, Pascal ; Pardoen, Thomas. Damage Mechanisms and Fracture Toughness of Fibrous Dual-Phase Steels for Automotive Applications. European Mechanics of Materials Conference (EMMC15) (Bruxelles, Belgique, du 07/09/2016 au 09/09/2016). Fisette, Paul ; Docquier, Nicolas. Demystifying Multibody Dynamics via Undergraduate Projects: an Educational Challenge (Keynote). the 4th Joint International Conference on Multibody System Dynamics (Montréal, Canada, du 29/05/2016 au 02/06/2016). Vanthournhout, Léna ; Herman, Benoît ; Szewczyk, Jérôme ; Lengelé, Benoît ; Raucent, Benoît. Design and prototyping of a robotic assistant for microsurgery. 6th Joint Workshop on New Technologies for Computer/Robot Assisted Surgery (CRAS2016) (Pisa, Italy, du 12/09/2016 au 14/09/2016). Carlier d'Odeigne, Olivier ; Soares Frazao, Sandra. Determination of bed roughness parameters from field survey: application to the Cavaillon River, Haïti. International Conference on Fluvial Hydraulics, River Flow 2016 (Iowa City, USA, du 11/07/2016 au 14/07/2016). In: International Conference on Fluvial Hydraulics, 2016. 978-1-138-02913-2, p. 2262-2268. Hallermeyer, A. ; Dolfi-Bouteyre, A. ; Valla, M. ; Le Brusquet, L. ; Fleury, G. ; Thobois, L. ; Cariou, J.P. ; Duponcheel, Matthieu ; Winckelmans, Grégoire. Development and assessment of a wake vortex characterization algorithm based on a hybrid lidar signal processing. 8th AIAA Atmospheric and Space Environments Conference (Washington, USA, du 13/06/2016 au 17/06/2016). Dias, Bruno ; Bariselli, Federico ; Turchi, Alessandro ; Frezzotti, Aldo ; Chatelain, Philippe ; Magin, Thierry. Development of a melting model for meteors. 30th International Symposium on Rarefied Gas Dynamics: RGD 30 (Victoria, BC, Canada, du 10/07/2016 au 15/07/2016). In: AIP Conference Proceedings, Vol. 1786, no.1, p. 160004 (2016). doi:10.1063/1.4967661. Delannay, Laurent ; Tacq, Jeroen ; Barde, Didier ; Seefeldt, Marc. Direct micro-to-macro modelling of the cold rolling of pearlitic steel. NUMIFORM 2016 (Troie, France). In: MATEC Web of Conferences, Vol. 80, no.2008, p. 5 (2016). doi:10.1051/matecconf/20168002008. Grosshans, Holger ; Papalexandris, Miltiadis. Direct numerical simulation of powder electrification in a turbulent channel flow . APS 69th Annual Meeting of the Division of Fluid Dynamics (Portland (Oregon), du 20/11/2016 au 22/11/2016). Frère, Ariane ; Sørensen, Niels ; Hillewaert, Koen ; Chatelain, Philippe ; Winckelmans, Grégoire. Discontinuous Galerkin methodology for Large-Eddy Simulations of wind turbine airfoils. 6th international conference "The Science of Making Torque from Wind" (TORQUE 2016), hosted byTUM (Munich, Germany, du 05/10/2016 au 07/10/2016). In: Journal of Physics Conference Series. doi:10.1088/1742-6596/753/2/022037. Lemoine, Guerric ; Colla, Marie-Stéphane ; Idrissi, Hosni ; Pardoen, Thomas ; Delannay, Laurent. Dislocation and back stress dominated viscoplasticity in free-standing sub-micron Pd films. ICACM 2016 Symposium (Compiègne, France, du 01/06/2016 au 03/06/2016) (Soumis). Lemoine, Guerric ; Colla, Marie-Stéphane ; Pardoen, Thomas ; Delannay, Laurent. Dislocation and back stress dominated viscoplasticity in freestanding sub-micron Pd films. European Mechanics of Materials Conference (EMMC15) (Brussels, Belgium, du 07/09/2016 au 09/09/2016). Pochet, Maxime ; Tipler, Steven ; Giorgetti, Simone. Développement de nouveaux modes de combustion propre et à haut rendement à partir de différents types de carburants non conventionnels. Journée scientifique du pole Hainuyer (Charleroi, 19/04/2016). Hannard, Florent ; Simar, Aude ; Pardoen, Thomas ; Maire, Eric. Effect of friction stir processing on the damage resistance of 6xxx series aluminium alloys. EMMC15 (Brussels, du 07/09/2016 au 09/09/2016). Hannard, Florent ; Simar, Aude ; Pardoen, Thomas ; Maire, Eric. Effect of friction stir processing on the damage resistance of 6xxx series aluminium alloys. Int. Conf. on Processing & Manufacturing of Advanced Materials Processing, Fabrication, Properties, Applications (THERMEC 2016) (Graz, Autriche, du 29/05/2016 au 03/06/2016). Simar, Aude ; Hannard, Florent ; Maire, Eric ; Mokso, Rajmund ; Pardoen, Thomas. Effect of friction stir processing on the damage resistance of 6xxx series aluminium alloys. 11th International Friction Stir Welding Symposium (Cambridge, UK, du 17/05/2016 au 19/05/2016). Proost, Joris ; de Radiguès de Chennevières, Quentin ; Delvaux, Adeline ; Van Wonterghem, Frédéric. Electrochemical process intensification of hydrogen production using 3-D electrodes. 7th International Conference on Hydrogen Technologies, Symposium on Stationary systems and applications (Prague, Czech Republic, du 06/04/2016 au 08/04/2016). In: Proceedings of the 7th International Conference on Hydrogen Technologies, Symposium on Stationary systems and applications, 2016, p. 74. Tarquini, Danilo ; Saraiva Esteves Pacheco De Almeida, João ; Beyer, Katrin. Elemento de Viga Baseado em Formulação de Rigidez Enriquecido com Funções de Forma Adaptativas para Garantir Equilíbrio Axial. Sismica 2016 - 10º Congresso Nacional de Sismologia e Engenharia Sísmica (Ponta Delgada, Açores, Portugal, April 20-22, 2016). Delvaux, Adeline ; Poulain, Raphaël ; Van Overmeere, Quentin ; Proost, Joris. Enhanced oxygen evolution from (de-)alloyed nickel thin film electrodes. SolarFuel16 (Berlin, Germany, du 05/10/2016 au 06/10/2016). In: Proceedings of the International Conference on Advances in Semiconductors and Catalysts for Photoelectrochemical Fuel Production (SolarFuel16), 2016, p. Abstract 4120. Dumont de Chassart, Corentin ; Gilson, Adrien ; Kluyskens, Virginie ; Espanet, Christophe ; Dehez, Bruno. Evaluation of the electrodynamic forces in high-speed permanent magnet machines with rotor eccentricity. The 15th international symposium on Magnetic Bearings (Kitakyushu, Japan, du 03/08/2016 au 06/08/2016). In: Proceedings of ISMB15, 2016. --. Jimenez Mena, Norberto ; Jacques, Pascal ; Simar, Aude. Evaluation of the intermetallic fracture toughness in Al-to-steel welds performed by Friction Stir Welding and Friction Melt Bonding. Journées annuelles de la SF2M (Albi, France, du 25/10/2016 au 27/10/2016). Van Damme, Stefanie ; Dias, Véronique ; Jeanmart, Hervé ; Contino, Francesco. Experimental and Kinetic Modeling of a Rich Methyl Pentanoate Flame at Low Pressure. 24th Journées d'Etude of the Belgian Section of the Combustion Institute (Louvain-la-Neuve, Belgium, du 19/05/2016 au 20/05/2016). Berger, Benjamin ; Dias, Véronique ; Jeanmart, Hervé. Experimental and numerical investigation of the pyrolysis process in a two-stage fixed-bed gasifier. 38th Task Leaders Meeting, IEA TCP for Clean and Efficient Combustion (Ruka, Finland, du 26/06/2016 au 30/06/2016). Fent, Ilaria ; Soares Frazao, Sandra. Experimental evaluation of the friction slope in unsteady flows. International Conference on Fluvial Hydraulics, River Flow 2016 (Iowa City, USA, du 11/07/2016 au 14/07/2016). In: International Conference on Fluvial Hydraulics, 2016. 978-1-138-02913-2, p. 358-364. Van Damme, Stefanie ; Dias, Véronique ; Jeanmart, Hervé ; Contino, Francesco. Experimental study of methyl pentanoate flames at low pressure. 38th Task Leaders Meeting, IEA TCP for Clean and Efficient Combustion (Ruka, Finland, du 26/06/2016 au 30/06/2016). Vallaeys, Valentin ; Kärnä, Tuomas ; Baptista, Antoniò M. ; Deleersnijder, Eric ; Hanert, Emmanuel. Finite-element baroclinic multiscale model of the Columbia River plume. Liege Colloquium, Submesoscale processes: mechanisms, implications and new frontiers (Université of Liège, Liège, Belgium, du 23/05/2016 au 27/05/2016). Carlier d'Odeigne, Olivier ; Joseph, Adermus ; Gonomy, N. ; Zech, Yves ; Soares Frazao, Sandra. Flow modelling and investigation of flood scenarios on the Cavaillon River, Haiti. Fourth European Congress of IAHR (du 27/07/2016 au 29/07/2016). In: Fourth European Congress of IAHR, 2016. 978-1-138-02977-4, p. 102-107. Santos Macias, Juan Guillermo ; Lani, Frédéric ; Jacques, Pascal ; Simar, Aude. Friction stir processing of AM parts. Additive manufacturing workshop Brussels (Brussels, Belgium, du 26/05/2016 au 27/05/2016). Verlé, Aubain ; Fisette, Paul. Generalized quasi-static equilibrium computation for vehicle dynamics optimization. the 4th Joint International Conference on Multibody System Dynamics (Montréal, Canada, du 29/05/2016 au 02/06/2016). Ma, Zhao ; Latteur, Pierre ; Mueller, Caitlin. Grammar-based Rhombic Polyhedral Multi-Directional Joints and Corresponding Lattices. IASS Annual Symposium 2016 "Spatial Structures in the 21st Century" (Tokyo, Japan, du 26/09/2016 au 30/09/2016). Amin-Ahmadi, Benham ; Lumbeeck, Gunnar ; Idrissi, Hosni ; Delmelle, Renaud ; Fivel, Marc ; Pardoen, Thomas ; Proost, Joris ; Schryvers, Dominique. HRTEM investigation of dislocation/hydrogen interaction mechanisms in hydrided nanocrystalline palladium films. European Microscopy Conference (EMC2016) (Lyon, France, du 28/08/2016 au 02/09/2016). In: European Microscopy Congress 2016: Proceedings, 2016. doi:https://onlinelibrary.wiley.com/doi/pdf/10.1002/9783527808465.EMC2016.5020. doi:10.1002/9783527808465.EMC2016.5020. Bartosiewicz, Yann. How CFD could help to unveil the secrets of ejectors. Heat Powered Cycles Conference HPC2016 (Nottingham, UK). In: Heat Powered Cycles Conference 2016 Proceedings, 2016. ISBN 978-0-9563329-5-0. Marichal, Yves ; De Visscher, Ivan. Identification and quantification of vortical structures in wind turbine wakes for operational wake modeling. 6th international conference "The Science of Making Torque from Wind" (TORQUE 2016), hosted byTUM (Munich, Germany, du 05/10/2016 au 07/10/2016). doi:10.1088/1742-6596/753/3/032050. Simar, Aude ; Delroisse, Pauline ; Bruzy, Nicolas ; Rigo, Olivier ; Jacques, Pascal ; Massart, Thierry. Impact of sandwich lattice structures processed by selective laser melting. EMMC15 – 15th European Mechanics of Materials Conference (Bruxelles, du 07/09/2016 au 09/09/2016). Delvaux, Adeline ; Dupuis, G. ; Santoro, Ronny ; Van Overmeere, Quentin ; Proost, Joris. Improvement of Bubble Detachment and Overpotential during Hydrogen Evolution on (de-)alloyed Nickel Electrodes. 67th Annual Meeting of the International Society of Electrochemistry (ISE), Symposium on Novel Materials and Devices for Energy Conversion and Storage: Fuel Cells, Electrolysers, Regenerative Fuel Cells and Flow Batteries (The Hague, The Netherlands, du 21/08/2016 au 26/08/2016). In: Proceedings of the 67th Annual Meeting of the International Society of Electrochemistry (ISE), Symposium on Novel Materials and Devices for Energy Conversion and Storage: Fuel Cells, Electrolysers, Regenerative Fuel Cells and Flow Batteries, 2016, p. 123. Mergny, Elke ; Mateo, Raquel ; Esteban, Miguel ; Descamps, Thierry ; Latteur, Pierre. Influence of cracks on the stiffness of timber structural elements. WCTE 2016 - World Conference on Timber Engineering (Vienna, Austria, du 22/08/2016 au 25/08/2016). Santos Macias, Juan Guillermo ; Santos, Andrea Gil ; Moelans, Nele ; van der Biest, Omer ; Ruiz Navas, Elisa Maria. Influence of the grain size and phase content on the mechanical behaviour of magnesium alloys for biodegradable implants. Gravity casting and SPS manufactured. Junior Euromat 2016 (Lauzanne, Switzerland, du 10/07/2016 au 14/07/2016). Delroisse, Pauline ; Jacques, Pascal ; Rigo, Olivier ; Maire, Eric ; Simar, Aude. Influence of the scan speed on the microstructure of AlSi10Mg processed by additive manufacturing. Thermec 2016 (Graz, Austria, du 29/05/2016 au 03/06/2016). De Fusco, Lucio ; Lorenzi, Guido ; Jeanmart, Hervé. Insight into electric utility business models for high-share renewables and storage integration. 13th International Conference on the European Energy Market (EEM) (Porto, Portugal, du 06/06/2016 au 09/06/2016). In: European Energy Markets, , p. 1-5 (2016). doi:10.1109/EEM.2016.7521259. Samaeeaghmiyoni, Vahid ; Groten, Jonas ; Idrissi, Hosni ; Schwaiger, Ruth ; Schryvers, Dominique. Investigation of plasticity/fatigue mechanisms at interfaces in Ni using ex-situ and in-situ SEM/TEM micro/nano-mechanical testing. European Microscopy Conference (EMC2016) (Lyon, France, du 28/08/2016 au 02/09/2016). In: European Microscopy Congress 2016: Proceedings, 2016. doi:10.1002/9783527808465.EMC2016.5898 (Soumis). Idrissi, Hosni ; Samaeeaghmiyoni, V. ; Groten, J. ; Schwaiger, R. ; Bollinger, C. ; Boioli, F. ; Pardoen, Thomas ; Cordier, P. ; Schryvers, D.. Investigation of small-scale plasticity/fatigue mechanisms and size effects using advanced transmission electron microscopy. MRS Fall Meeting 2016 (Boston, MA, USA, du 27/11/2016 au 02/12/2016). In: Proceedings of the MRS Fall Meeting & Exhibit, 2016 (Soumis). Thiry, Olivier ; Duponcheel, Matthieu ; Winckelmans, Grégoire. Investigation of various wall modeling approaches for LES in the presence of mild pressure gradients. 11th International ERCOFTAC Symposium on Engineering Turbulence Modelling and Measurements (ETMM11) (Palerme, Sicile, Italie, du 21/09/2016 au 23/09/2016). Moens, Maud ; Duponcheel, Matthieu ; Winckelmans, Grégoire ; Chatelain, Philippe. LES of wind farm response to transient scenarios using a high fidelity actuator disk model. 6th international conference "The Science of Making Torque from Wind" (TORQUE 2016), hosted byTUM (Munich, Germany, du 05/10/2016 au 07/10/2016). In: Journal of Physics: Conference Series, Vol. 753, no. 3, p. 032053. doi:10.1088/1742-6596/753/3/032053. Carlier d'Odeigne, Olivier ; Franzini, Fabian ; Soares Frazao, Sandra. La photogrammétrie appliquée à l’hydraulique fluviale. Colloque Photogrammétrie Numérique et Perception 3D : les nouvelles conquêtes (ENSG, Paris, France, du 15/03/2016 au 16/03/2016). Grosshans, Holger ; Papalexandris, Miltiadis. Large eddy simulation of tribolectric charging during powder transport in pipes. 11th European Fluid Mechanics Conference (Sevilla, Spain, du 12/09/2016 au 16/09/2016). Latteur, Pierre ; Goessens, Sébastien ; Reniers, Milan ; Zhao, Ma ; Mueller, Caitlin. Masonry Construction with drones. IASS Annual Symposium 2016 "Spatial Structures in the 21st Century" (Tokyo, Japan, du 26/09/2016 au 30/09/2016). Franzini, Fabian ; Soares Frazao, Sandra ; Capart, Hervé. Measurement of the free-surface elevation in a steady flow in complex topography using photogrammetry. International Conference on Fluvial Hydraulics, River Flow 2016 (St-Louis, USA, du 11/07/2016 au 14/07/2016). In: River Flow 2016: Proceedings of the International Conference on Fluvial Hydraulics, 2016. 978-1-138-02913-2, p. 581-587. Heidari, Hamed ; Rivero, Guadalupe ; Idrissi, Hosni ; Ramachandran, Dhanya ; Cakir, Seda ; Egoavil, Ricardo ; Kurttepeli, Mert ; Crabbé, Amandine ; Hauffman, Tom ; Terryn, Herman ; Du Prez, Filip ; Schryvers, Nick. Micro- and nanostructural characterization of melamine-formaldehyde microcapsule shells using electron microscopy. European Microscopy Conference (EMC2016) (Lyon, France, du 28/08/2016 au 02/09/2016). In: European Microscopy Congress 2016: Proceedings, 2016. doi:https://onlinelibrary.wiley.com/doi/10.1002/9783527808465.EMC2016.5750. doi:10.1002/9783527808465.EMC2016.5750. Hannard, Florent ; Maire, Eric ; Pardoen, Thomas ; Simar, Aude. Microstructural heterogeneity effects on damage resistance of 6xxx series Aluminium alloys. 2016 EMI International Conference (Metz, France, du 25/10/2016 au 27/10/2016). Sousa, R. ; Correia, A.A. ; Saraiva Esteves Pacheco De Almeida, João ; Pinho, Rui. Modelação numérica do escorregamento de armaduras em elementos de betão armado / Numerical modelling of bond-slip effects in reinforced concrete elements. Sísmica 2016 – 10º Congresso Nacional de Sismologia e Engenharia Sísmica (Ponta Delgada, Açores, Portugal, April 20-22, 2016). In: Revista Portuguesa de Engenharia de Estruturas, Vol. 2, no. Série III, p. 33-42 (2016) (published). Vincent, David ; Karatekin, Ozgür ; Dehant, Véronique ; Deleersnijder, Eric. Modelisation of tidal flows between Titan’s seas Kraken Mare and Ligeia Mare. European geoscience Union - General Assembly 2016 (Vienne, du 17/04/2016 au 22/04/2016). Pochet, Maxime ; Dias, Véronique ; Jeanmart, Hervé ; Contino, Francesco ; Verhelst, Sebastian. Multifuel CHP with homogeneous charge compression ignition engine. 38th Task Leaders Meeting, IEA TCP for Clean and Efficient Combustion (Ruka, Finland, du 26/06/2016 au 30/06/2016). Ryelandt, Sophie ; Dompierre, B. ; Favache, Audrey ; Simar, Aude. Méthodologie d'identification du comportement élasto-viscoplastique de matériaux par nanoindentation. Colloque Indentation 2016 - Recueil présentations (Lille, du 12/10/2016 au 14/10/2016). In: Indentation 2016, 2016. Docquier, Quentin ; Verlé, Aubain ; Fisette, Paul. Narrow Tilting Vehicle (NTV) Control through MBS Modelling: Comparison of Direct and Steering tilt Controls. Bicycle and Motorcycle Dynamics 2016, Symposium on the Dynamics and Control of Single Track Vehicles (Milwaukee, Wisconsin, USA, du 21/09/2016 au 23/09/2016). Pochet, Maxime ; Dias, Véronique ; Jeanmart, Hervé ; Contino, Francesco ; Verhelst, Sebastian. Numerical assessment of the operating range for a multi-fuel HCCI engine: Hydrogen, ammonia, methane and methanol. 24th Journées d'Etude of the Belgian Section of the Combustion Institute (Louvain-la-Neuve, Belgium, du 19/05/2016 au 20/05/2016). Georgiou, Michail ; Papalexandris, Miltiadis. Numerical study of an impinging jet to a turbulent channel flow in a T-junction configuration. APS 69th Annual Meeting of the Division of Fluid Dynamics (Portland, Oregon, du 20/11/2016 au 22/11/2016). Lamberts, Olivier ; Bartosiewicz, Yann ; Chatelain, Philippe. On the use of momentum and kinetic energy tubes for analyzing transport phenomena in sa supersonic ejector. 12th International Conference on Heat Transfer, Fluid Mechanics and Thermodynamics, HEFAT 2016 (Malaga, Spain). Boushaki, Mohamed ; Liu, Chao ; Herman, Benoît ; Trevillot, Vincent ; Akkari, Mohamed ; Poignet, Philippe. Optimization of concentric-tube robot design for deep anterior brain tumor surgery. 14th International Conference on Control, Automation, Robotics and Vision (ICARCV) (Phuket, Thailand, du 13/11/2016 au 15/11/2016). In: Proceedings of the 14th International Conference on Control, Automation, Robotics and Vision (ICARCV), 2016. 978-1-5090-4757-4, 6 pages. doi:10.1109/ICARCV.2016.7838563. doi:10.1109/ICARCV.2016.7838563. Rosso, Angelica ; Saraiva Esteves Pacheco De Almeida, João ; Beyer, Katrin. Out-of-plane behaviour of reinforced concrete members with single reinforcement layer subjected to cyclic axial loading: beam-column element simulation. New Zealand Society for Earthquake Engineering (NZSEE) Annual Technical Conference (Christchurch, April 1-3, 2016). Duponcheel, Matthieu ; Caprace, Denis-Gabriel ; Winckelmans, Grégoire ; Chatelain, Philippe. Performance and wake development of vertical axis wind turbines: a LES study using a vortex particle-mesh method. VII European Congress on Computational Methods in Applied Sciences and Engineering 2016, ECCOMAS Congress 2016 (Crete, du 06/06/2016 au 10/06/2016). doi:10.13140/RG.2.1.2570.2001. Lorieul, Gaël ; Chatelain, Philippe ; Bartosiewicz, Yann. Performance assessment of Eulerian versus Eulerian-Lagrangian level set implementations for the simulation of two-phase flows. 9th International Conference on Multiphase Flow ICMF-2016 (Firenze, Italy). Dumont de Chassart, Corentin ; Kluyskens, Virginie ; Dehez, Bruno. Performance of yokeless heteropolar electrodynamic bearings. Advances in Magnetics (Bormio, Italy, du 14/03/2016 au 16/03/2016). De Lorenzo, Marco ; Lafon, Philippe ; Seynhaeve, Jean-Marie ; Bartosiewicz, Yann. Physical and numeraicl investigations for the development of a new experimental facility for studying blowdown phenomena. ICONE 24 (Charlotte, USA). de Radiguès de Chennevières, Quentin ; Van Wonterghem, Frédéric ; Vanhumbeeck, Jean-François ; Proost, Joris. Plasma Electrolytic Oxidation (PEO) of aluminum with pulsed DC current. 30th International Conference on Surface Modification Technologies, Symposium on Wear and Corrosion Protection (Milan, Italy, du 29/06/2016 au 01/07/2016). In: Proceedings of the 30th International Conference on Surface Modification Technologies, Symposium on Wear and Corrosion Protection, 2016.
de Radiguès de Chennevières, Quentin ; Van Wonterghem, Frédéric ; Vanhumbeeck, Jean-François ; Proost, Joris. Plasma Electrolytic Oxidation (PEO) of titanium with DC current. 30th International Conference on Surface Modification Technologies, Special Session on Ti anodising (Milan, Italy, du 29/06/2016 au 01/07/2016). In: Proceedings of the 30th International Conference on Surface Modification Technologies, Special Session on Ti anodising, 2016, p. Abstract 169. Mallmann, Camila ; Simar, Aude ; Ferrié, E. ; Fivel, Marc ; Lilleodden, E. T.. Plastic deformation mechanisms of magnesium matrix nanocomposites elaborated by friction stir processing. EMMC15 - 15th European Mechanics of Materials Conference (Brussels, Belgium, du 07/09/2016 au 09/09/2016). Docquier, Nicolas ; Collard, J.-F.. Pneumatic anti-roll systems for railway secondary suspensions. 24th Symposium of the International Association for Vehicle System Dynamics, IAVSD 2015 (Graz, Austria, du 17/08/2015 au 21/08/2015). In: Proceedings of the 24th Symposium of the International Association for Vehicle System Dynamics, IAVSD 2015, 2016. 978-113802885-2, p. 833-840. Poulain, Raphaël ; Delvaux, Adeline ; Klein, Andreas ; Proost, Joris. Reactively sputtered ultrathin nickel oxide films for electro-catalytic applications. 6th International Symposium on Transparent Conductive Materials (IS-TVMs) (Platanias-Chania, Crête - Grèce, du 09/10/2016 au 13/10/2016). In: Proceedings of the 6th International Symposium on Transparent Conductive Materials (TMC-2016), 2016, p. 128. Winckelmans, Grégoire ; Chatelain, Philippe ; Marichal, Yves ; Parmentier, Philippe ; Duponcheel, Matthieu ; Caprace, Denis-Gabriel ; Gillis, Thomas. Recent developments in vortex particle-mesh (VPM) methods, and applications. 7th International Conference on Vortex Flows and Vortex Models (ICVFM 2016) (Rostock, Germany, du 19/09/2016 au 22/09/2016). Idrissi, Hosni ; Ghidelli, M. ; Gravier, S. ; Blandin, J.J. ; Raskin, Jean-Pierre ; Pardoen, Thomas ; Schryvers, D.. Recent investigation of small-scale plasticity mechanisms in 3D and small-sized systems using advanced in-situ TEM nanomechanical testing. European Microscopy Conference (EMC2016) (Lyon, France, du 28/08/2016 au 02/09/2016). In: European Microscopy Congress 2016: Proceedings, 2016. doi:10.1002/9783527808465.EMC2016.5990 (Soumis). Carlier d'Odeigne , Olivier ; Roelandts , O. ; Verschoore, T. ; Zech, Yves ; Soares Frazao, Sandra. Reconstruction of a stage-discharge relation for a damaged weir on the Cavaillon river, Haïti. Fourth European Congress of IAHR (Liège, Belgium, du 27/07/2016 au 29/07/2016). In: Fourth European Congress of IAHR, 2016. 978-1-138-02977-4, p. 671. Kuci, Erin ; Henrotte, François ; Duysinx, Pierre ; Geuzaine, Christophe. Shape and topology optimization of electrical machines using lie derivative-based analytical sensitivity analysis. 2016 IEEE Conference on Electromagnetic Field Computation (CEFC) (Miami, FL, USA). doi:10.1109/CEFC.2016.7815990. Rosso, Angelica ; Saraiva Esteves Pacheco De Almeida, João ; Beyer, Katrin. Simulação numérica da instabilidade de paredes finas de betão armado usando elementos de viga sujeitos a tração-compressão / Numerical simulation of instability of thin reinforced concrete walls using beam elements under tension-compression. Sismica 2016 - 10º Congresso Nacional de Sismologia e Engenharia Sísmica (Ponta Delgada, Açores, Portugal, April 20-22, 2016). In: Revista Portuguesa de Engenharia de Estruturas, Sísmica 2016, Vol. 2, no. Série III, p. 83-92 (2016) (published). Simar, Aude ; Jimenez Mena, Norberto ; Avettand Fénoël, Marie-Noëlle. Status and challenges of dissimilar metal welding. 11th International Friction Stir Welding Symposium (Cambridge, UK, du 17/05/2016 au 19/05/2016). Mercier, Thomas ; Jomaux, Julien ; De Jaeger, Emmanuel. Stochastic programming for valuing energy storage providing primary frequency control. 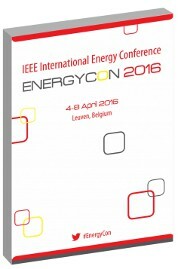 2016 IEEE International Energy Conference (ENERGYCON) (Leuven, Belgium, du 04/04/2016 au 08/04/2016). doi:10.1109/ENERGYCON.2016.7513938. Mandy, Mélodie ; Georges, C. ; Drillet , P. ; Sturel, T. ; Jacques, Pascal. Study of the hydrogen introduction in bare and Al-Si coated steels during the hot stamping process. International Hydrogen Conference 2016 (Moran, Wyoming, USA, du 11/09/2016 au 14/09/2016). Poulain, Raphaël ; Klein , Andreas ; Proost, Joris. Tailoring reactively sputtered ultrathin nickel oxide films for solar water splitting devices. SolarFuel16 (Berlin, Germany, du 05/09/2016 au 06/01/2017). In: Proceedings of the International Conference on Advances in Semiconductors and Catalysts for Photoelectrochemical Fuel Production (SolarFuel16), 2016, p. Abstract G1.O5. Buckingham, Sophia ; koloszar, Lilla ; Garcia-Sanchez, Clara ; Winckelmans, Grégoire. Temperature perturbation method to generate turbulent inflow conditions for LES/DNS simulations. Ninth International Conference on Computational Fluid Dynamics (ICCFD9) (Istanbul, du 11/07/2016 au 15/07/2016). Miotti Bettanini, Alvise ; Delannay, Laurent ; Jacques, Pascal ; Pardoen, Thomas. The Effect of Second Population NbC Carbides on The Shear Localisation in a Nb-Modified AISI 410 Stainless Steel. EMMC15 – 15th European Mechanics of Materials Conference (Brussels, Belgium, du 07/09/16 au 09/09/2016). Miotti Bettanini, Alvise ; Delannay, Laurent ; Jacques, Pascal ; Pardoen, Thomas ; Mithieux, Jean-Denis ; Badinier, Guillaume. The Role of Chromium Carbides Volume Fraction on Plastic Instability Under Three-Point Bending Test in Martensitic Stainless Steel. RTME 2016 (Aveiro, Portugal, du 11/07/2016 au 13/07/2016). Delandmeter, Philippe ; Lewis, Stephen ; Lambrechts, Jonathan ; Legat, Vincent ; Deleersnijder, Eric ; Wolanski, Eric. The transport and fate of riverine fine sediment exported to a semi-open system. 48th International Liege Colloquium on Ocean Dynamics Submesoscale Processes: Mechanisms, Implications and new Frontiers (Liège, du 23/05/2016 au 27/05/2016). Kluyskens, Virginie ; Van Beneden, Maxence ; Dehez, Bruno. Thermal model for a low-speed flywheel in low vacuum. The 15th international symposium on Magnetic Bearings (Kitakyushu, Japan, du 03/08/2016 au 06/08/2016). In: Proceedings of ISMB15, 2016. --, p. 58-65. Jimenez Mena, Norberto ; Drezet, Jean-Marie ; Jacques, Pascal ; Simar, Aude. Thermomechanical modelling of dissimilar Friction Melt Bonding of AA6061 to Dual-phase steel: Prediction of solidification cracking and residual stresses. Thermec 2016 (Graz, Austria, du 29/05/2016 au 03/06/2016). Herman, Benoît. Towards a compact telemanipulator for fast and accurate microsurgical gestures. Advances and Controversies in Reconstructive Microsurgery (Norwich, UK, du 05/05/2016 au 06/05/2016). Bokiau, Baudouin ; Poletti, P ; Ceulemans, Anne-Emmanuelle ; Fisette, Paul. Understanding the evolution of ancient piano actions with the help of multibody models. 4th Joint International Conference on Multibody System Dynamics (Montréal, Canada, du 29/05/2016 au 02/06/2016). In: Proceedings of the 4th Joint International Conference on Multibody System Dynamics, 2016. Dehem, Stéphanie ; Gilliaux, Maxime ; Lejeune, Thierry ; Detrembleur, Christine ; Sapin, Julien ; Dehez, Bruno ; Stoquart, Gaëtan. Upper limb stiffness assessment using REAplan in stroke patients. Belgian Society of Neurorehabilitation (Bruxelles, 12/03/2016). Dehem, Stéphanie ; Edwards, Martin ; Montedoro, Vincenza ; Detrembleur, Christine ; Stoquart, Gaëtan ; Renders, Anne ; Galinski, Daniel ; Sapin, Julien ; Vanderwegen, Martin ; Heins, Sophie ; Clarinval, Charlotte ; Frognet, Cécile ; Brouwers, Isaline ; Lejeune, Thierry. Validation de tâches d’évaluation de la motricité du membre supérieur à l’aide d’un robot de rééducation chez des enfants sains. 31ème Congrès de la société française de médecine physique et réadaptation (SOFMER) (Saint-Etienne, du 13/10/2016 au 15/10/2016). Belletti, Beatrice ; Scolari, Matteo ; Saraiva Esteves Pacheco De Almeida, João ; Beyer, Katrin. Validation of NLFEA of reinforced concrete walls under bidirectional loading. Italian Concrete Days – Giornate AICAP 2016 Congresso CTE (Roma, Italia, October 27-28). Dehem, Stéphanie ; Edwards, Martin ; Montedoro, Vincenza ; Detrembleur, Christine ; Stoquart, Gaëtan ; Renders, Anne ; Galinski, Daniel ; Sapin, Julien ; Vanderwegen, Martin ; Heins, Sophie ; Clarinval, Charlotte ; Frognet, Cécile ; Brouwers, Isaline ; LEJEUNE, Thierry. Validation of an assessment protocol for upper limb impairments using a rehabilitation robot in healthy children and children with cerebral palsy. Annual symposium of the Louvain Bionics (Bruxelles, 08/09/2016). Goessens, Sébastien ; Mueller, Caitlin ; Latteur, Pierre. Vers une "Robonumérisation" de la construction ?. 34èmes Rencontres de l'AUGC, Université de Liège (Liège, du 25/05/2016 au 27/05/2016). Chatelain, Philippe ; Duponcheel, Matthieu ; Caprace, Denis-Gabriel ; Winckelmans, Grégoire ; Zeoli, Stéphanie ; Bricteux, Laurent. Vortex Particle-Mesh simulations of VAWT wakes over large scales. EUROMECH Colloquium on Scientific and Technological Challenges in Offshore Vertical Axis Wind Turbines (Delft, the Netherlands, du 07/09/2016 au 09/09/2016). Chatelain, Philippe ; Duponcheel, Matthieu ; Caprace, Denis-Gabriel ; Marichal, Yves ; Winckelmans, Grégoire. Vortex Particle-Mesh simulations of Vertical Axis Wind Turbine flows: from the blade aerodynamics to the very far wake. 6th international conference "The Science of Making Torque from Wind" (TORQUE 2016),hosted byTUM (Munich, Germany, du 05/10/2016 au 07/10/2016). In: Journal of Physics: Conference Series, Vol. 753, no. 3, p. 032007. doi:10.1088/1742-6596/753/3/032007. Frère, Ariane ; Hillewaert, Koen ; Chatelain, Philippe ; Winckelmans, Grégoire ; Carton de Wiart, Corentin. Wall Model for Discontinuous Galerkin Implicit Large-Eddy Simulations. VII European Congress on Computational Methods in Applied Sciences and Engineering 2016, ECCOMAS Congress 2016 (Crete, du 06/06/2016 au 10/06/2016). doi:10.13140/RG.2.1.4266.9686.